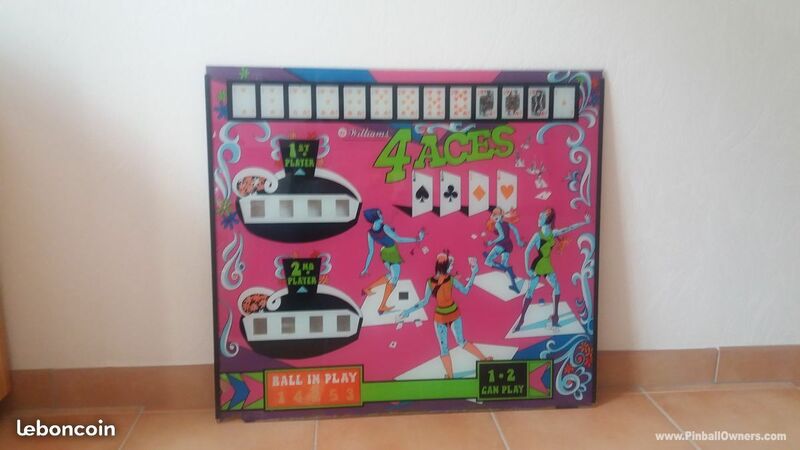 4 ACES Williams (USA) In storage, waiting for restoration Maybe Widebody EM. 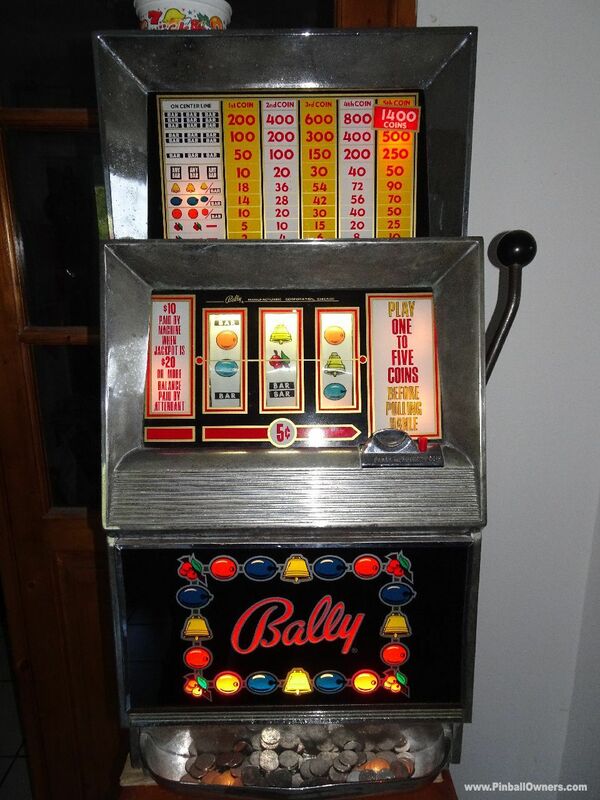 809 MULTIPLIER Bally (USA) Set up, plays! 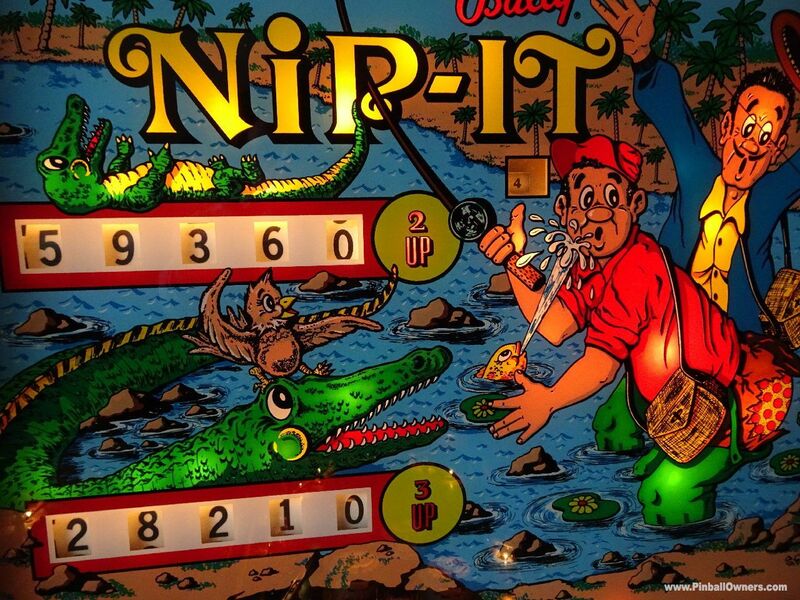 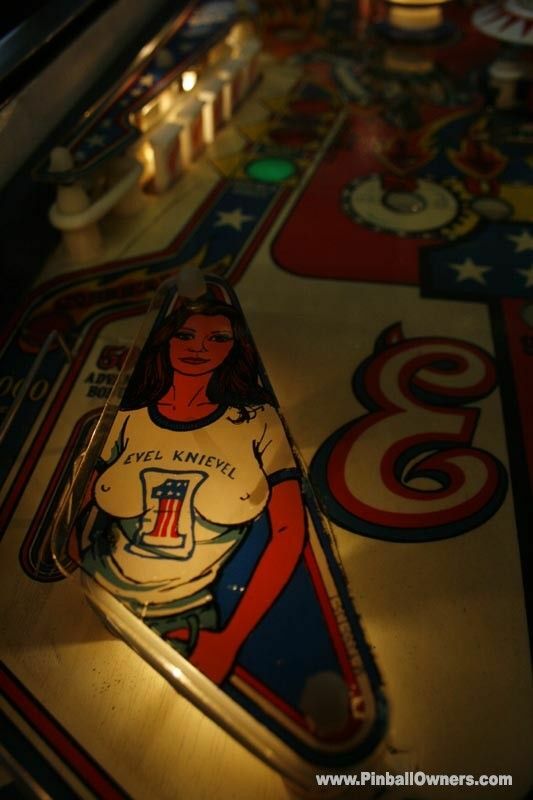 Never Not a pinball. 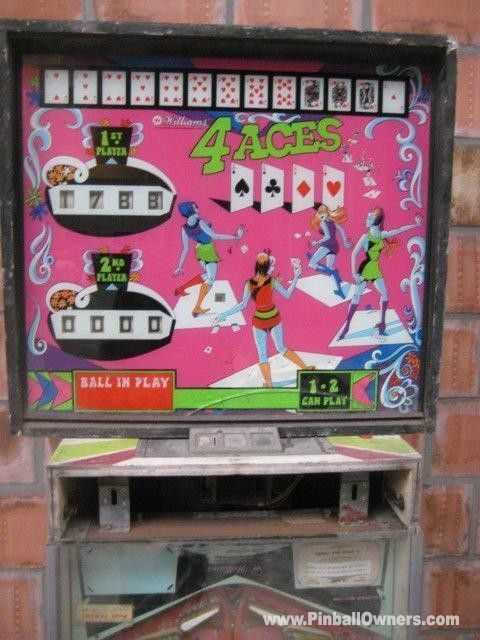 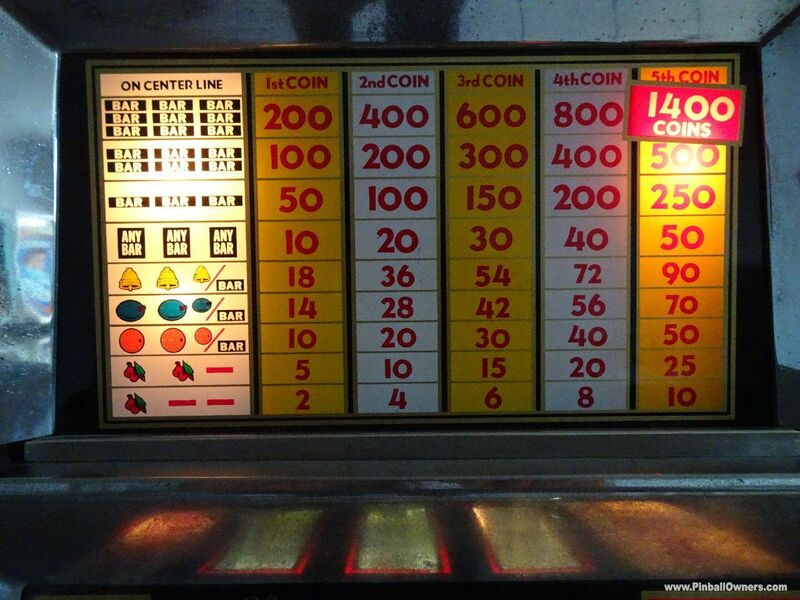 1966 Slot Machine. 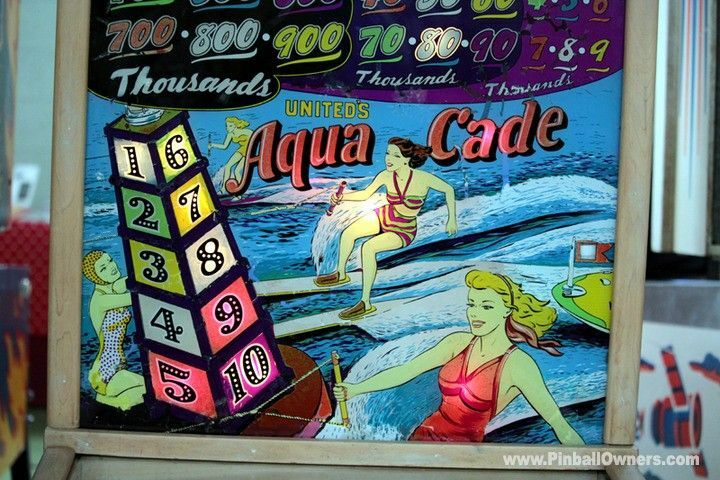 AQUACADE United (USA) Set up, plays! 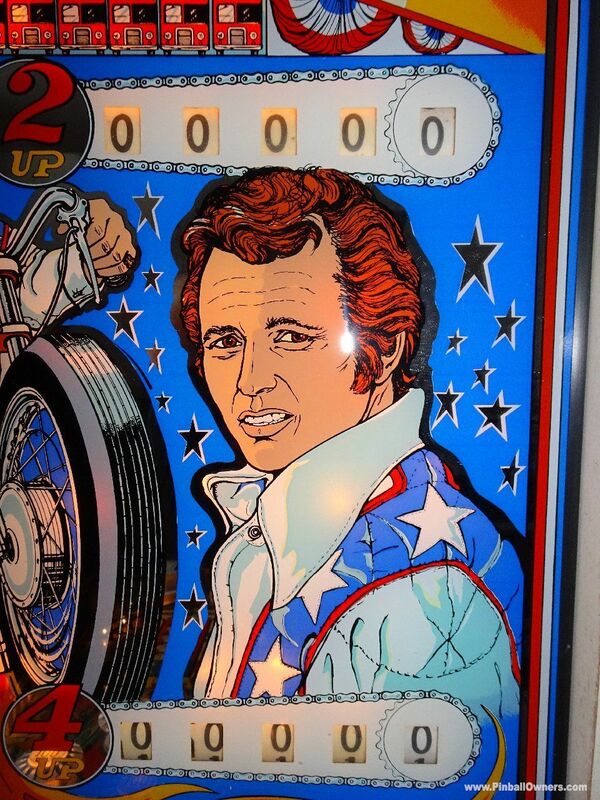 Never 70 years old and playing great! 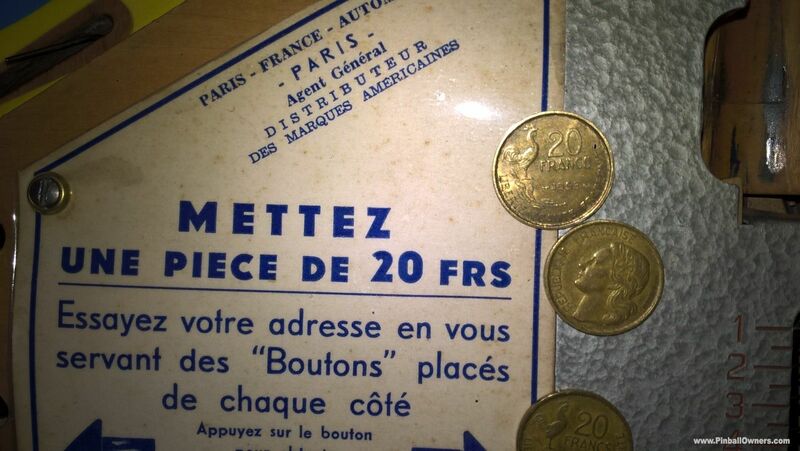 See video on youtube. 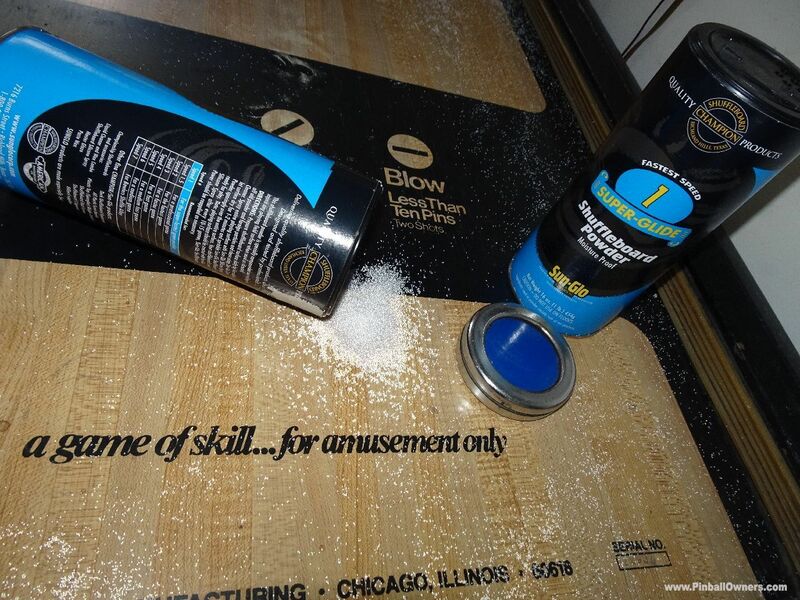 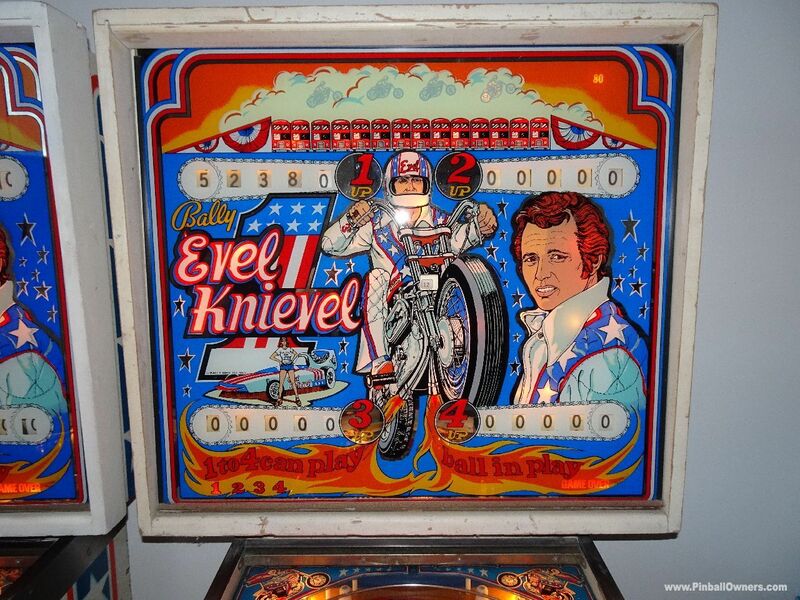 EVEL KNIEVEL Bally (USA) Set up, plays! 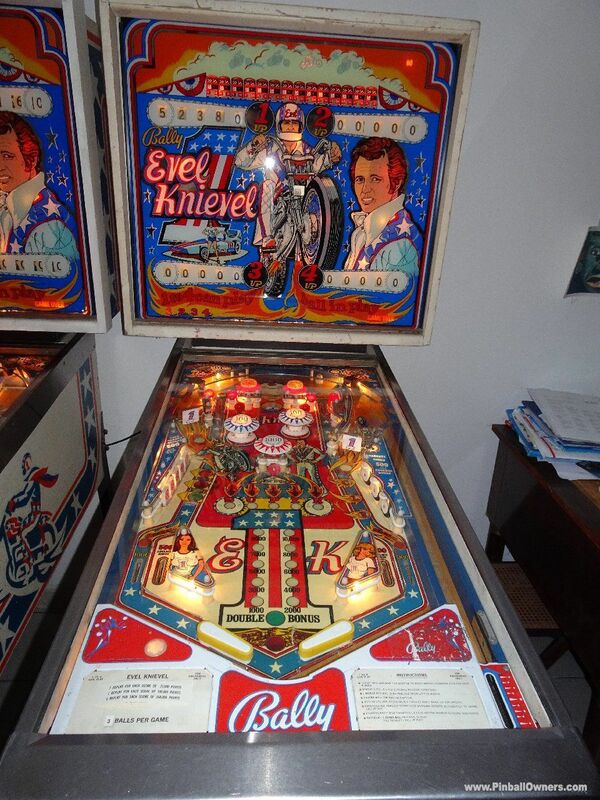 Never EM version. 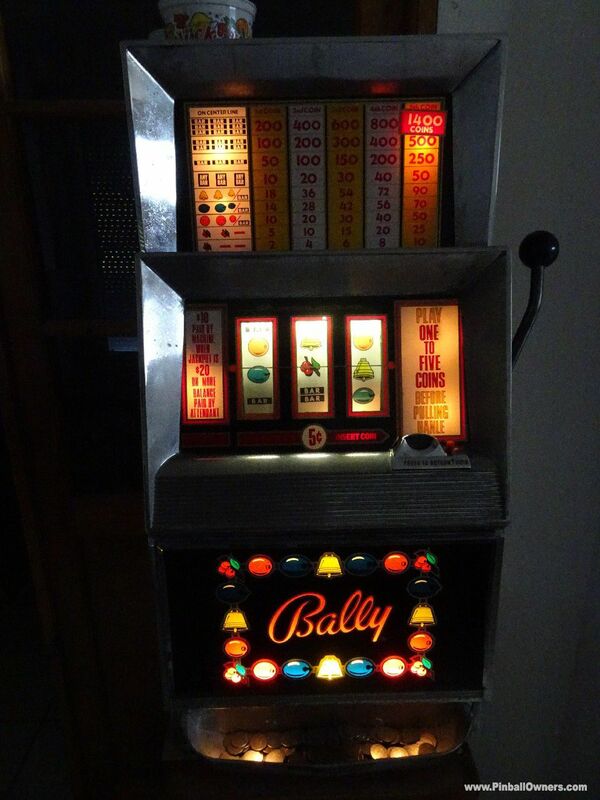 Rare EM game. 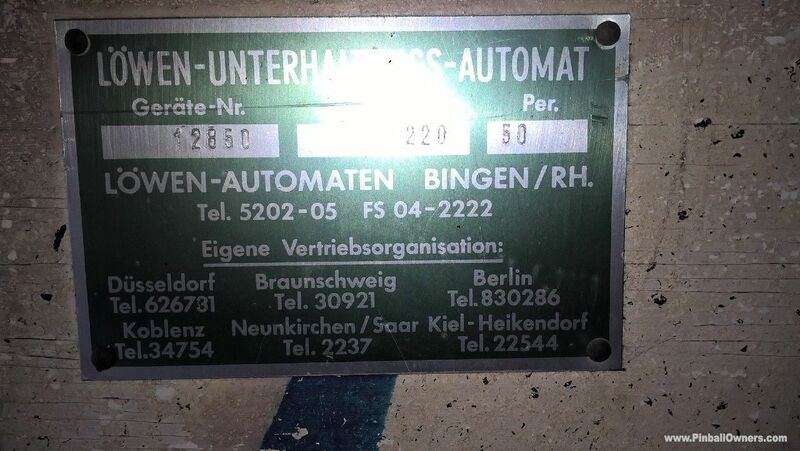 Only 155 units produced. 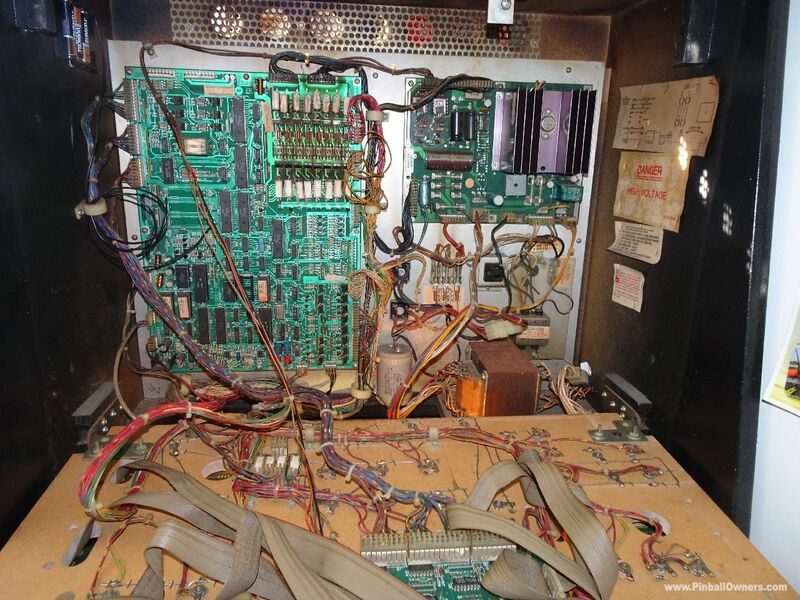 See video on youtube. 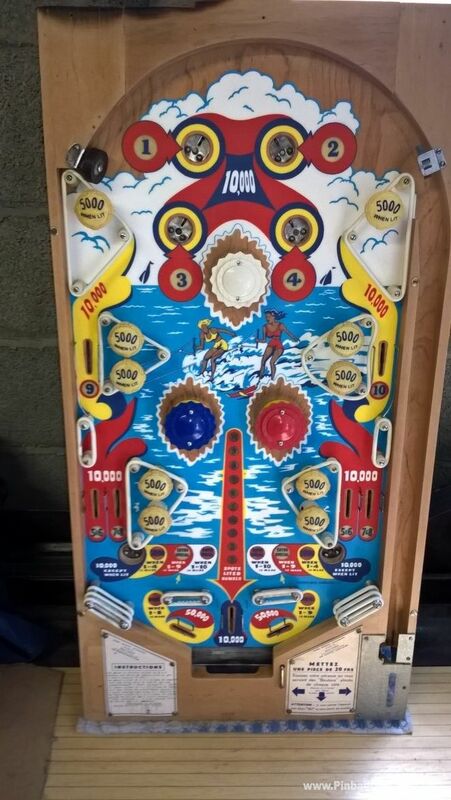 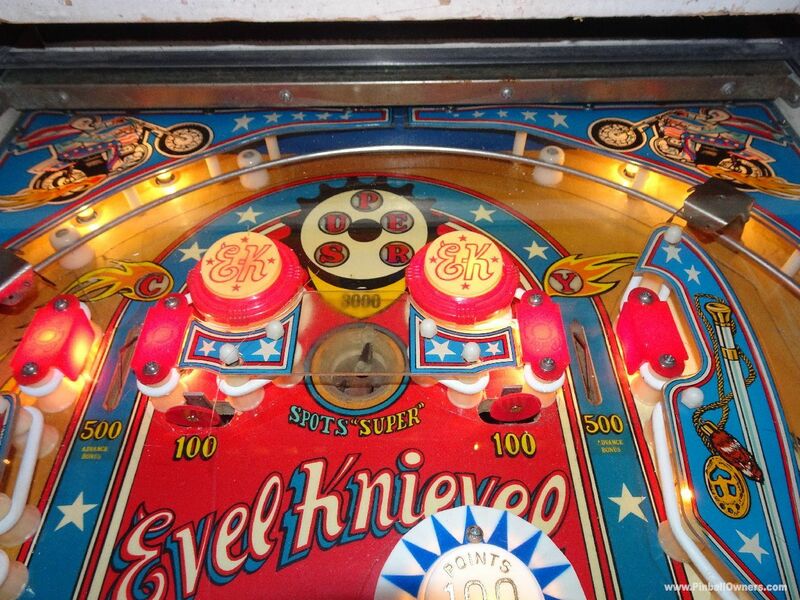 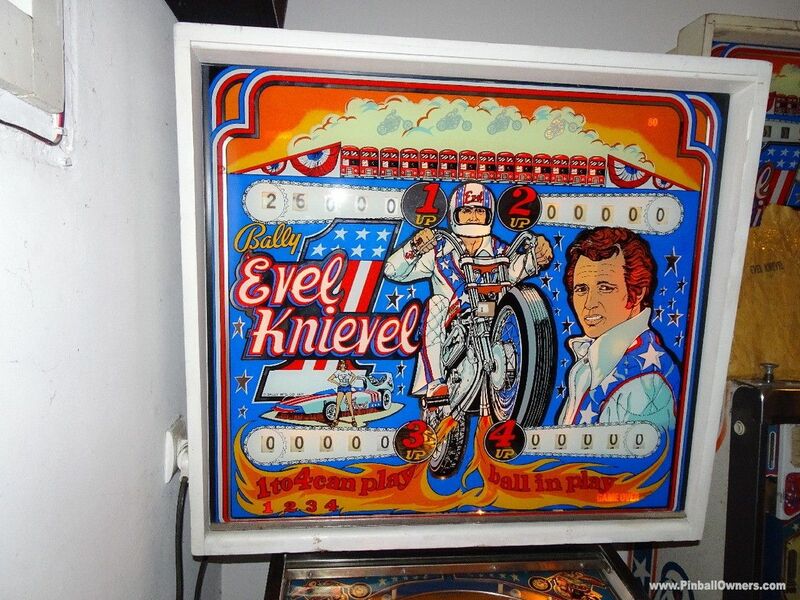 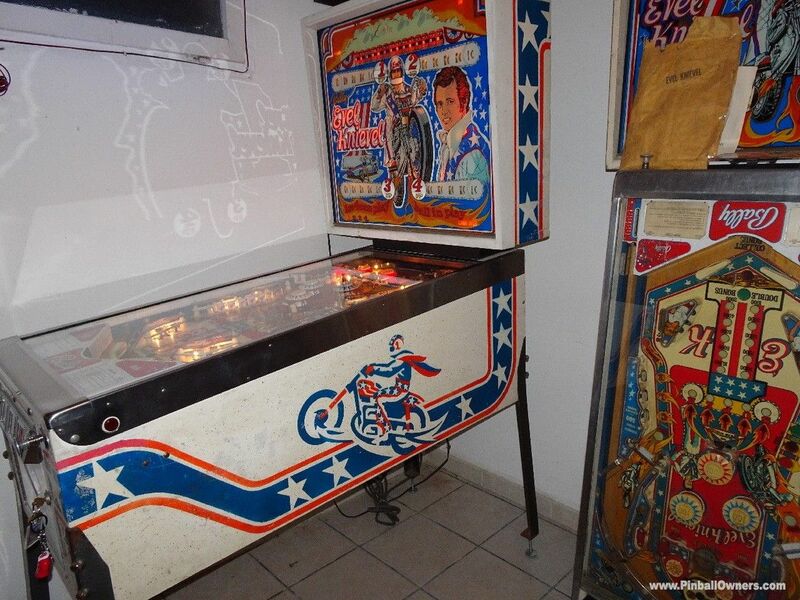 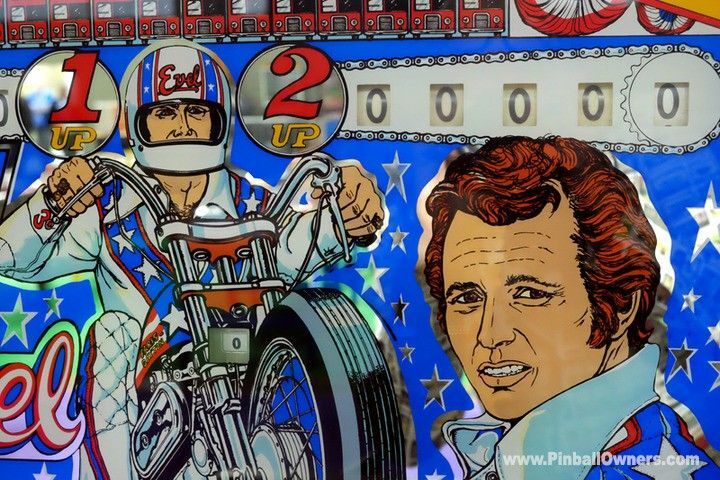 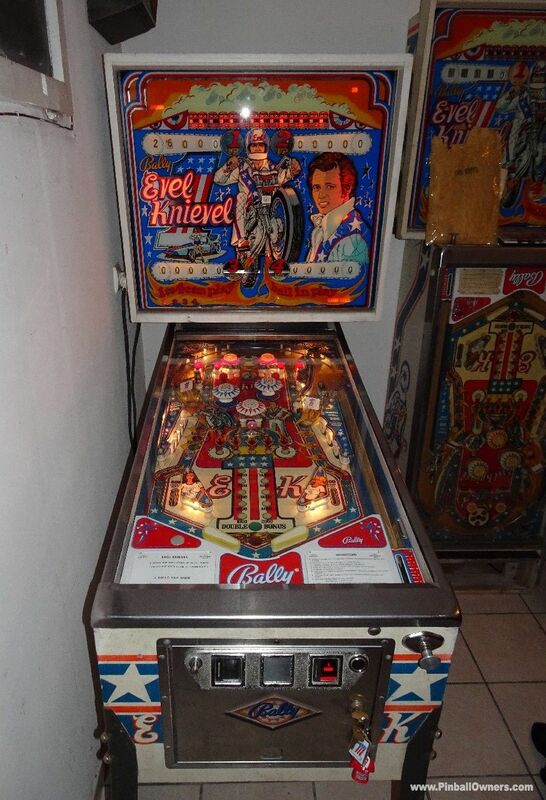 EVEL KNIEVEL Bally (USA) In storage, waiting for restoration Would trade EM Version.Rare EM game. 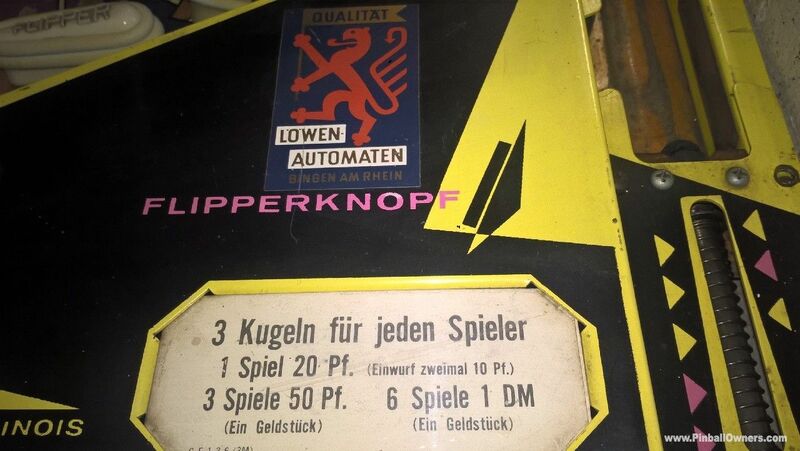 Only 155 units produced. 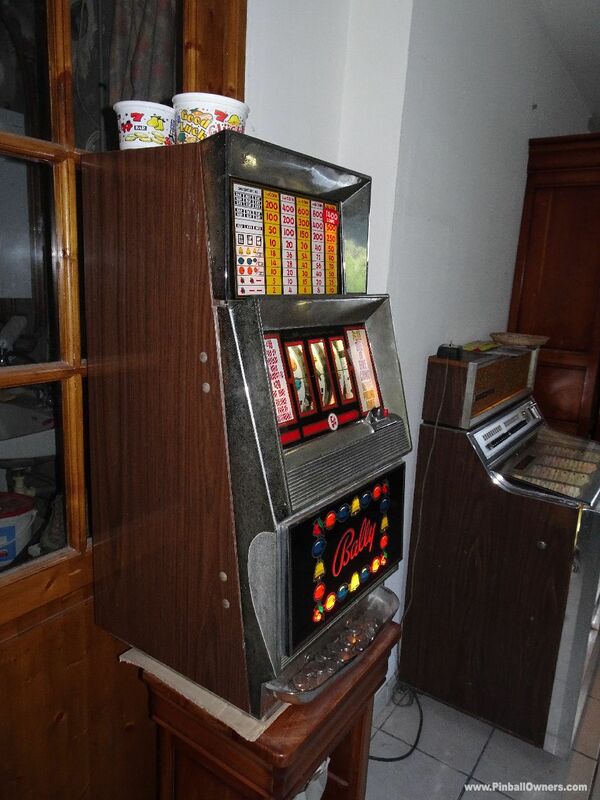 May trade VS Mata Hari EM. 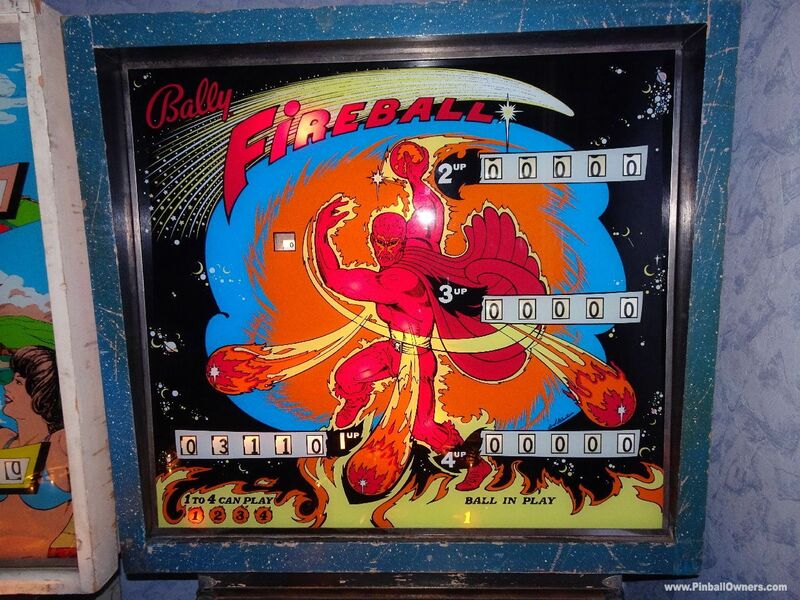 FIREBALL Bally (USA) Set up, plays! 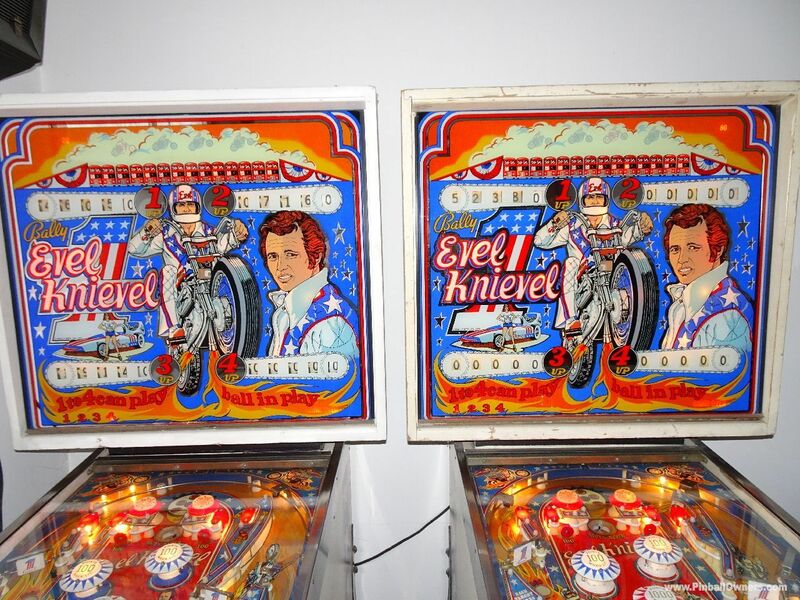 Never EM version. 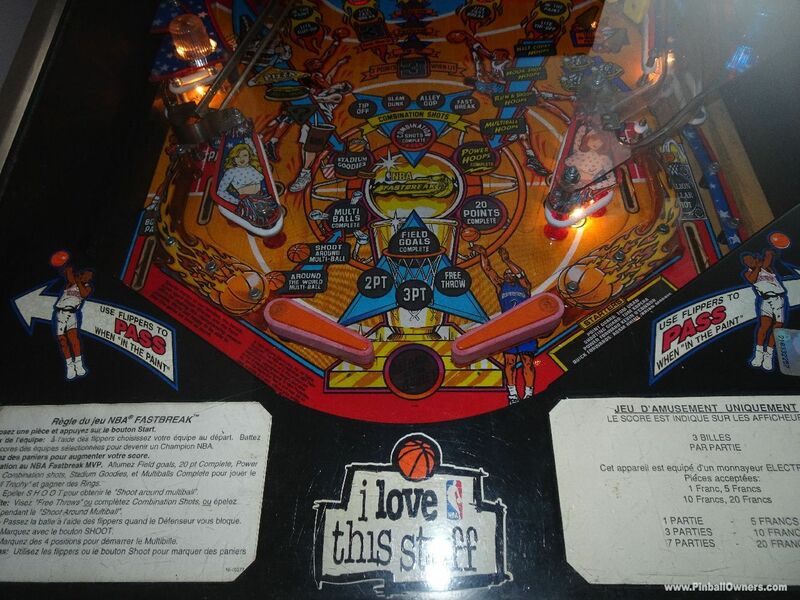 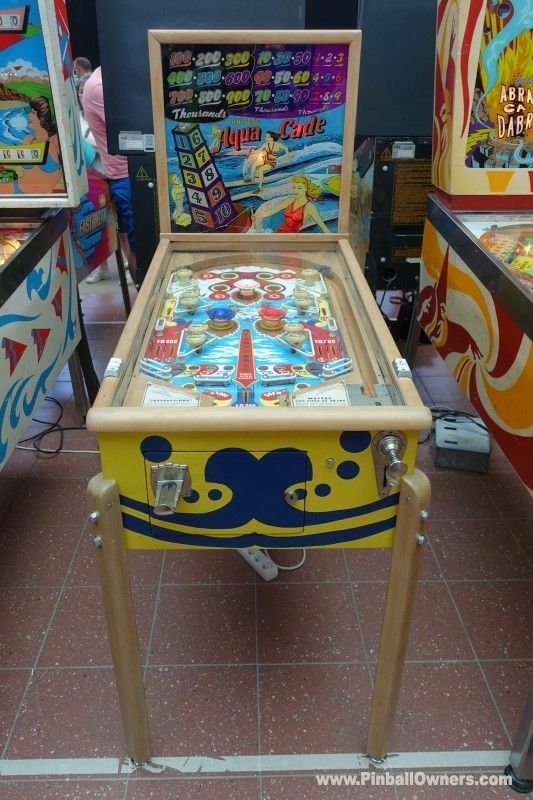 Multiball (2 or 3). 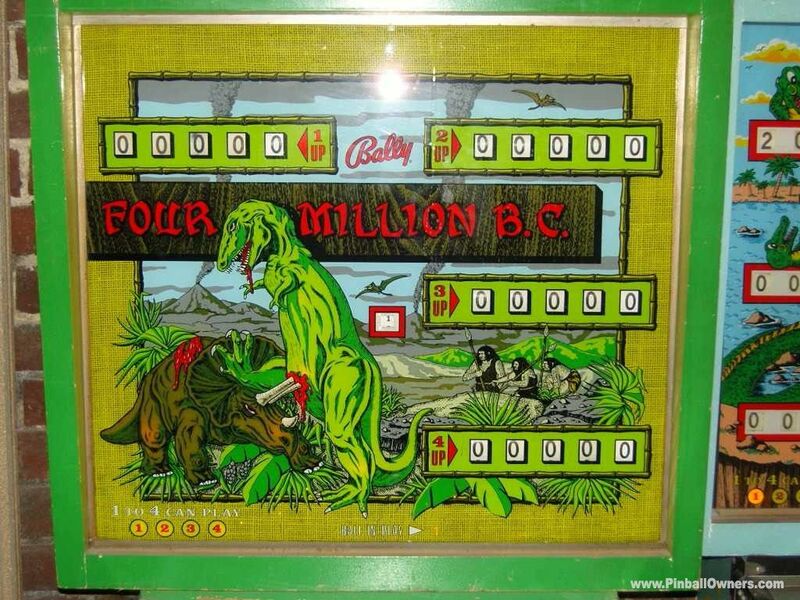 FOUR MILLION B.C. 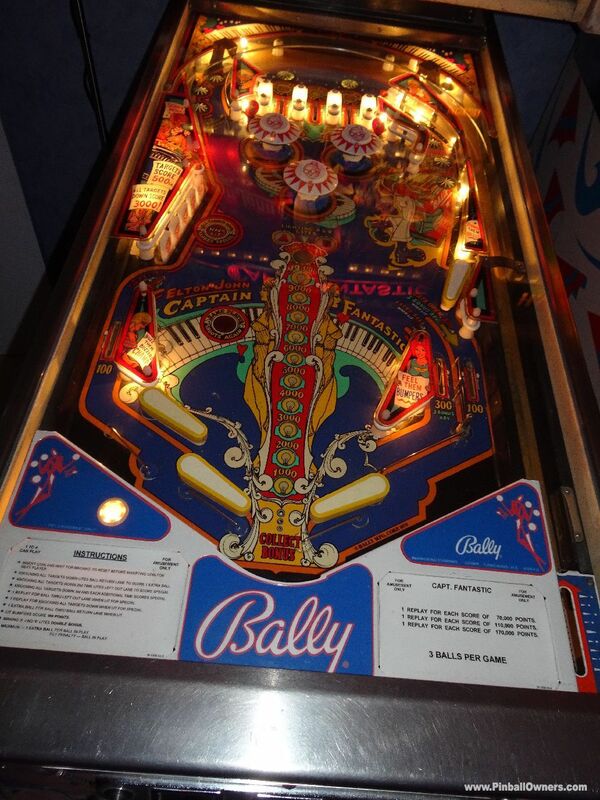 Bally (USA) Set up, plays! 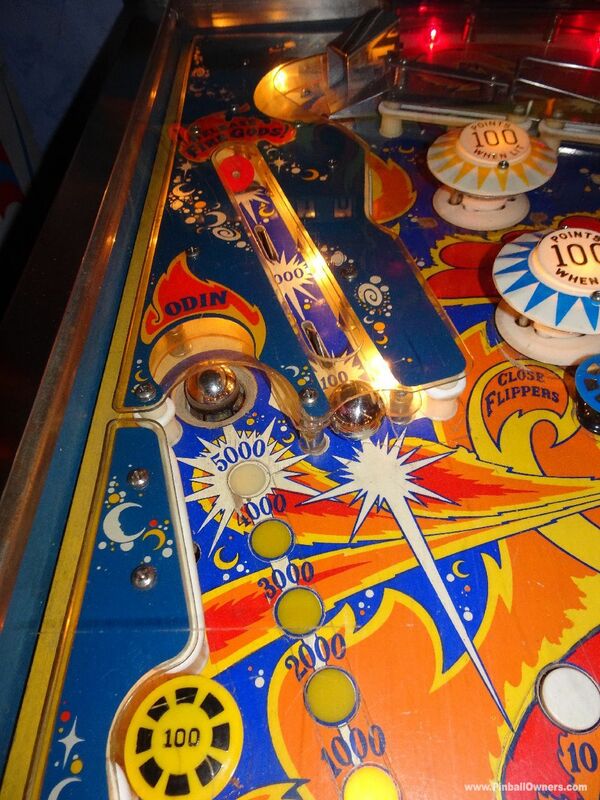 Never Multiball (2 or 3). 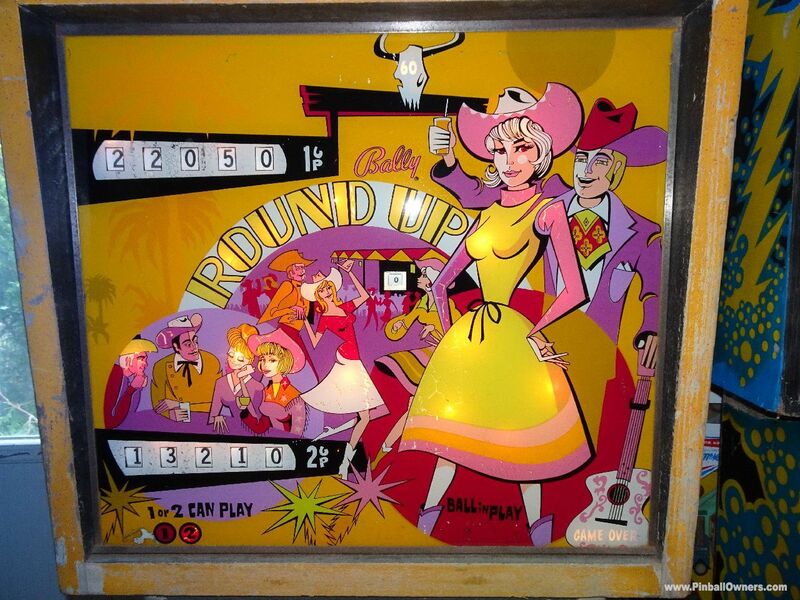 ROUND UP Bally (USA) Set up, plays! 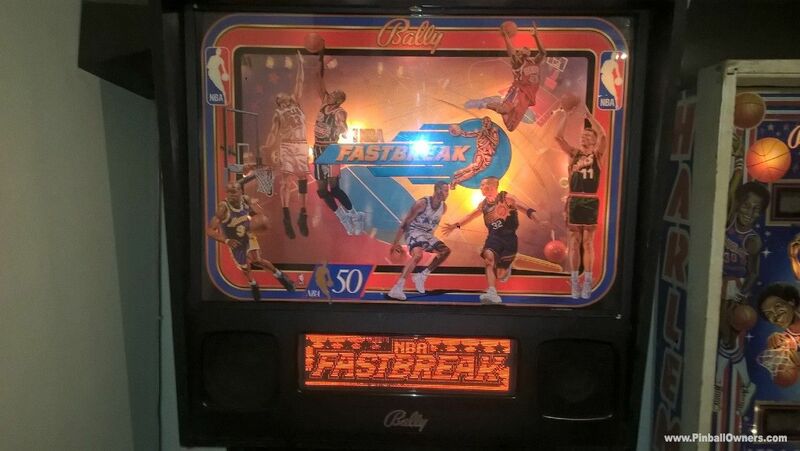 Never Rare EM game. 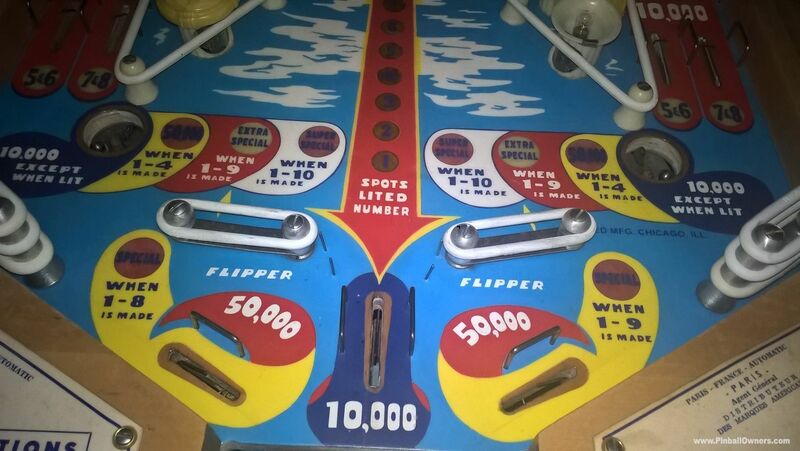 Only 70 units produced. 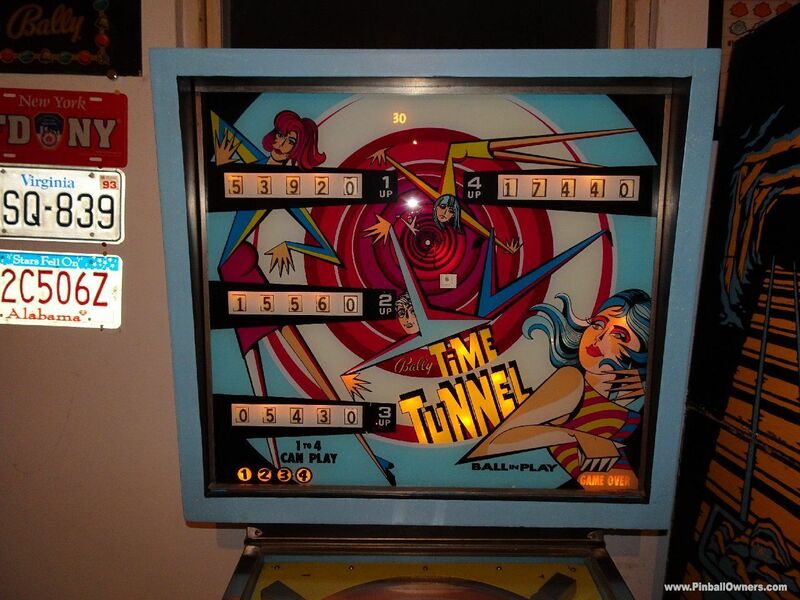 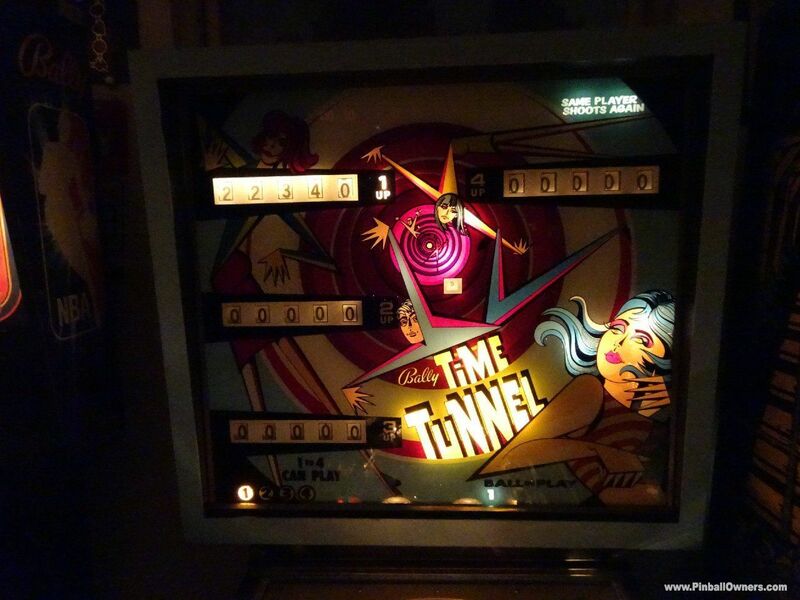 TIME TUNNEL Bally (USA) Set up, plays! 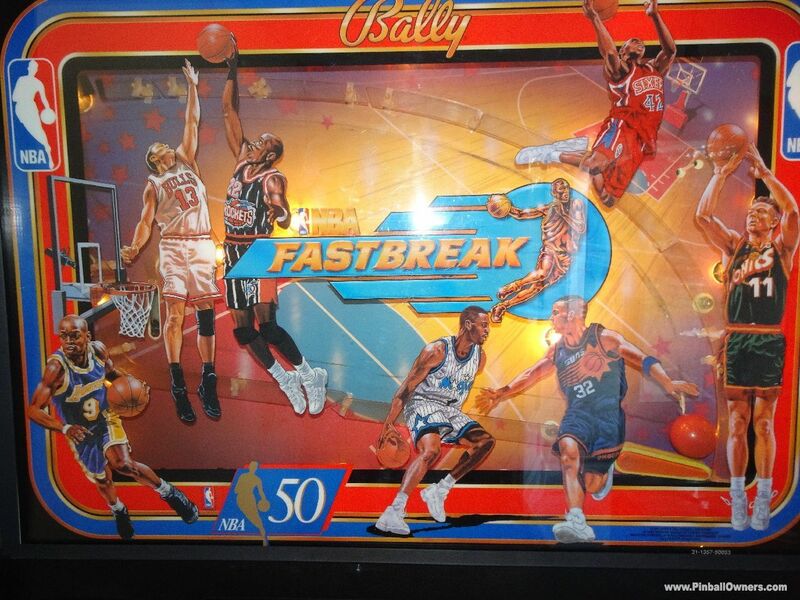 Never Rare EM game. 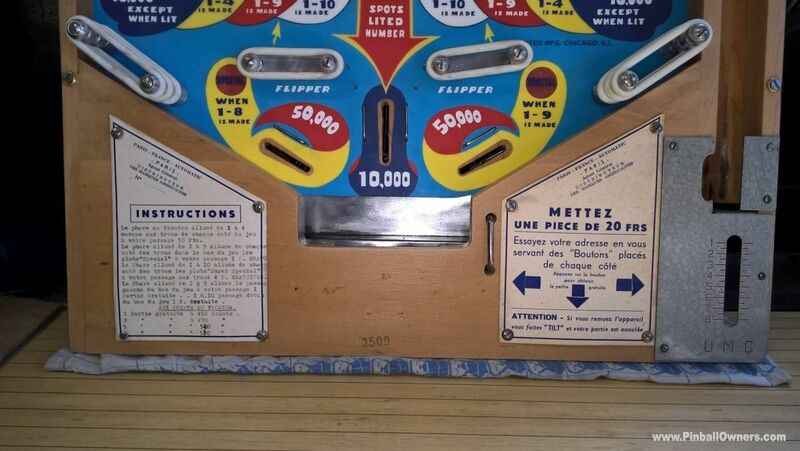 Only 70 units produced. 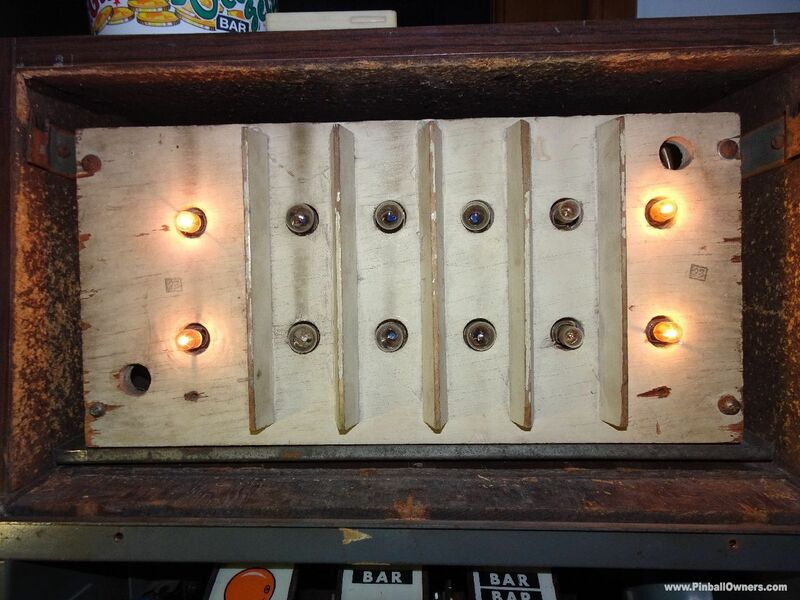 See video on youtube. 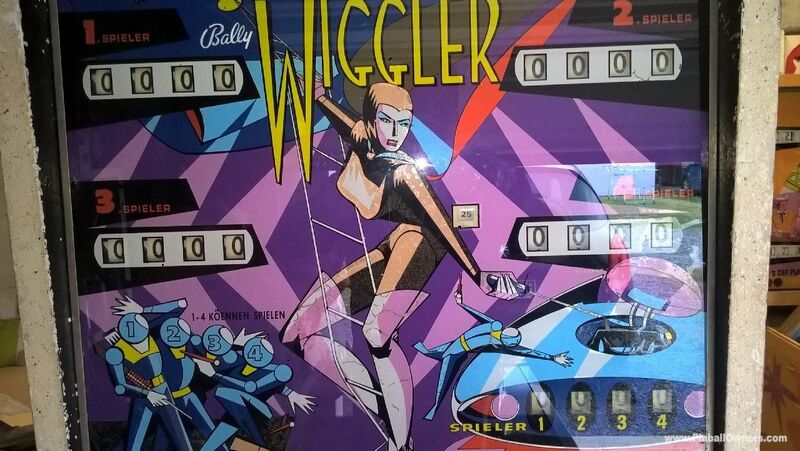 WIGGLER Bally (USA) Set up, plays! 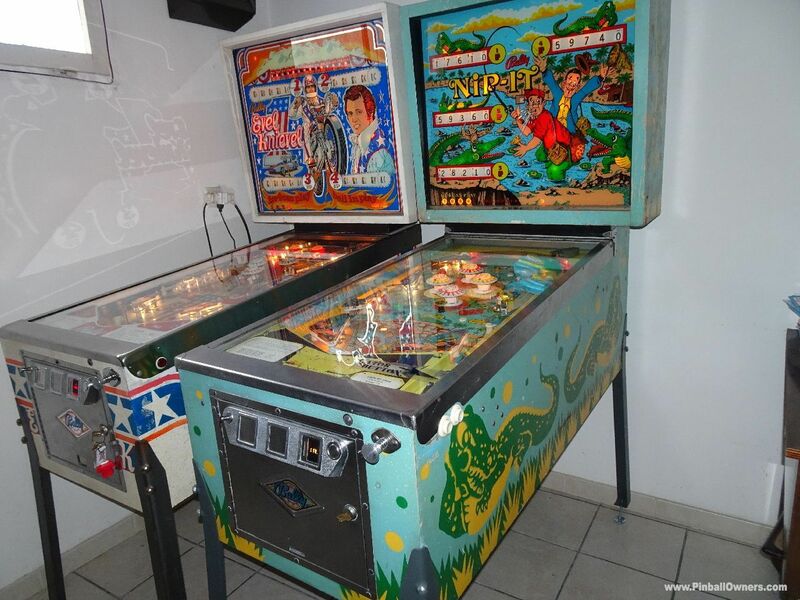 Never Multiball (2 or 3). 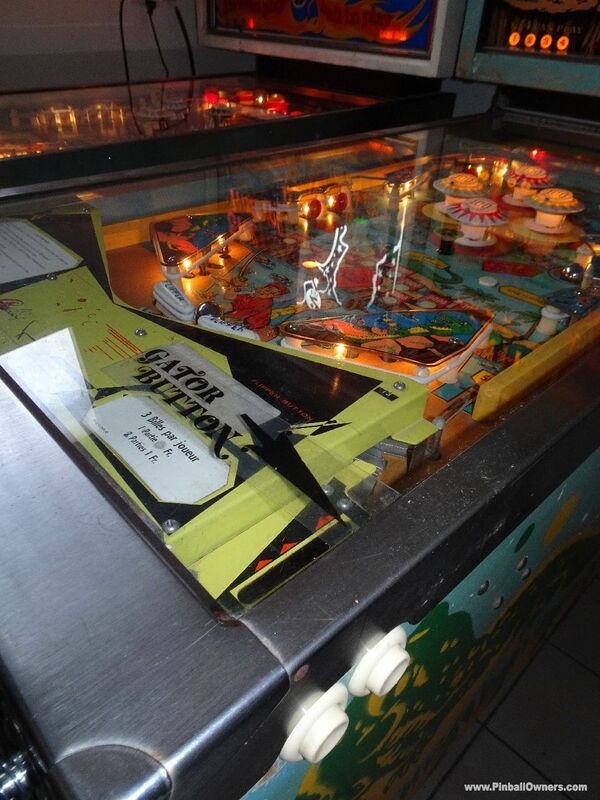 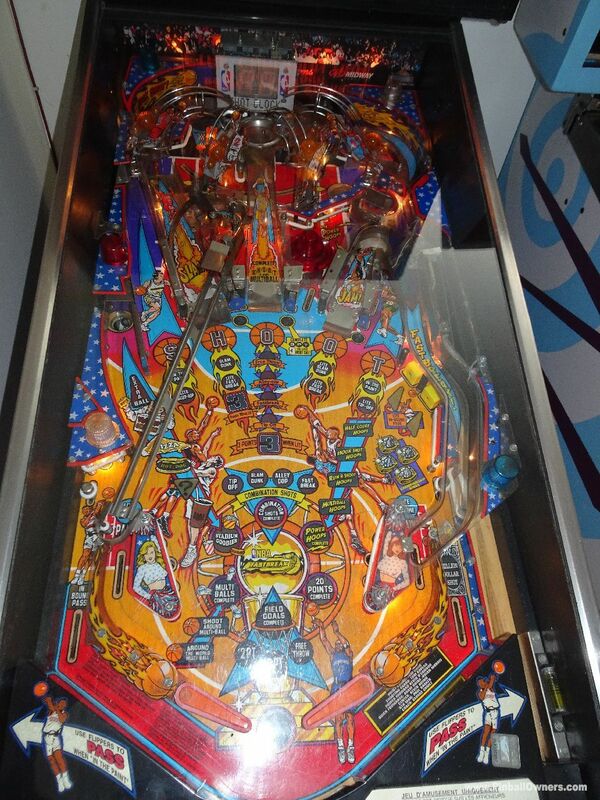 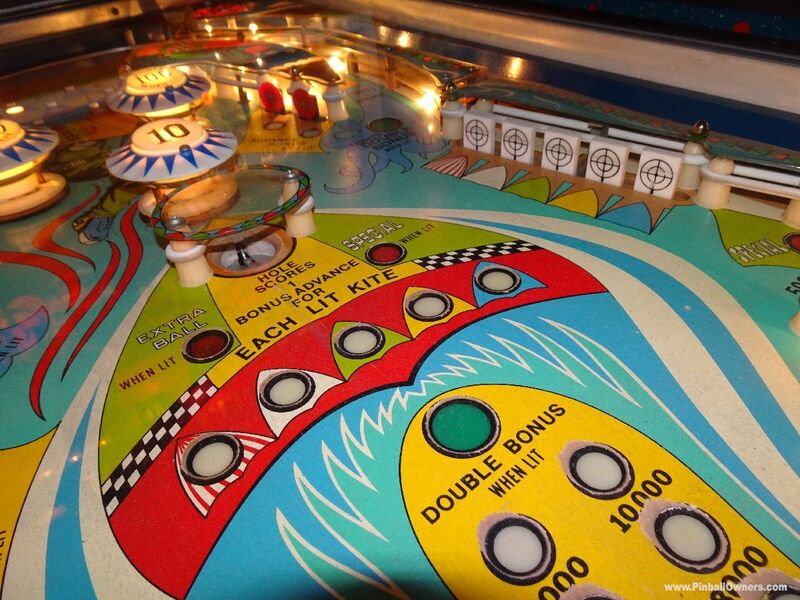 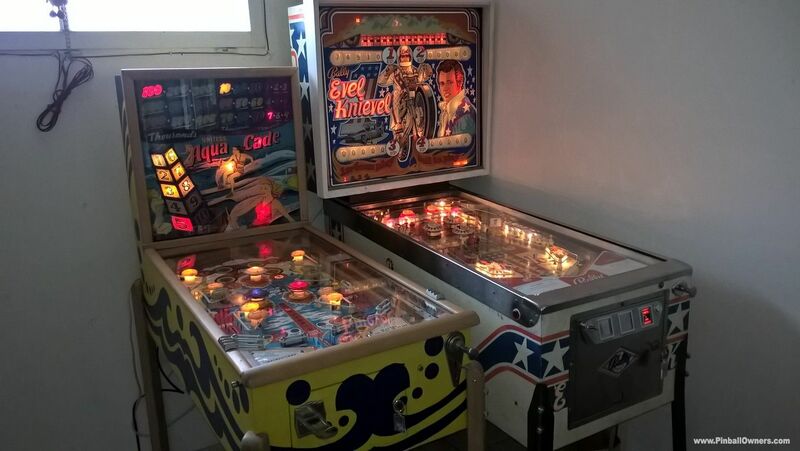 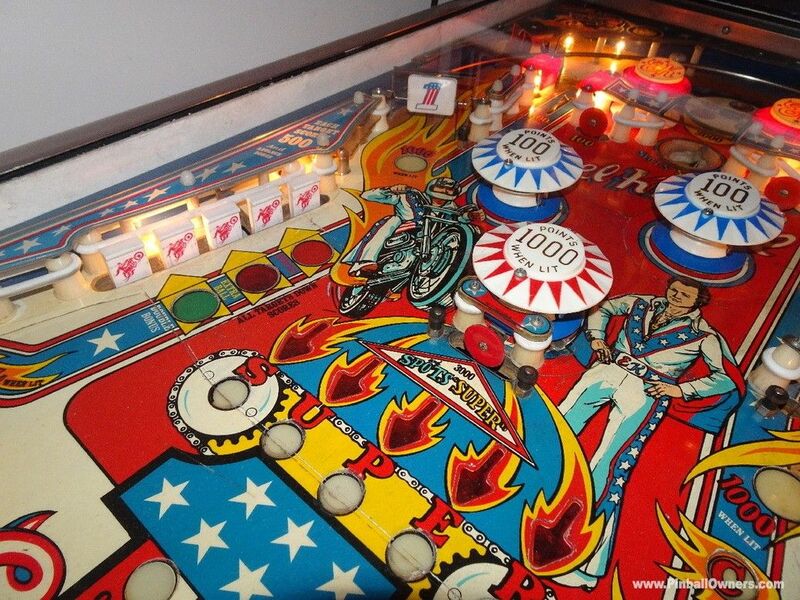 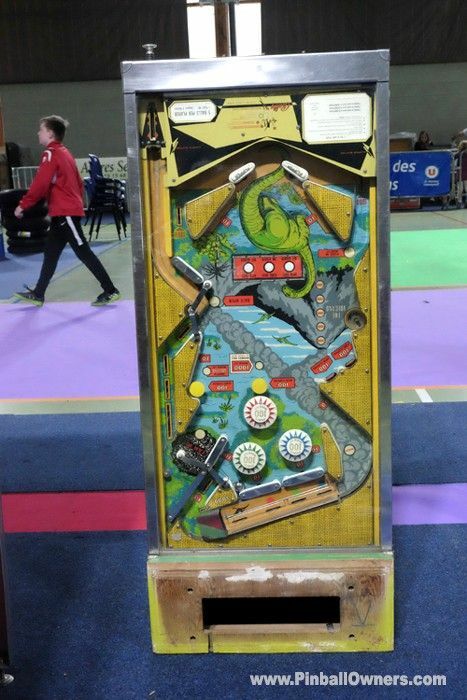 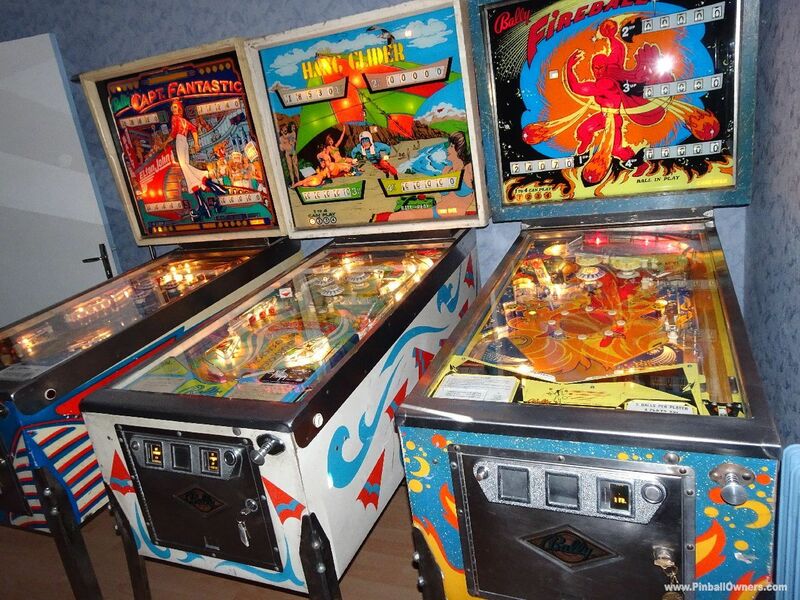 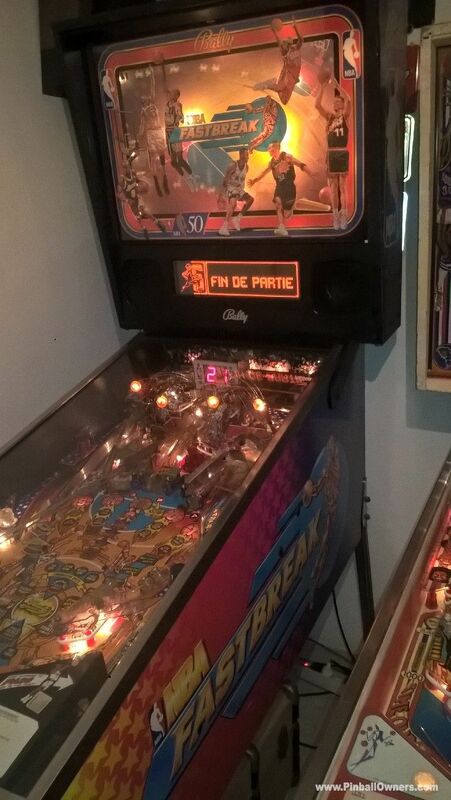 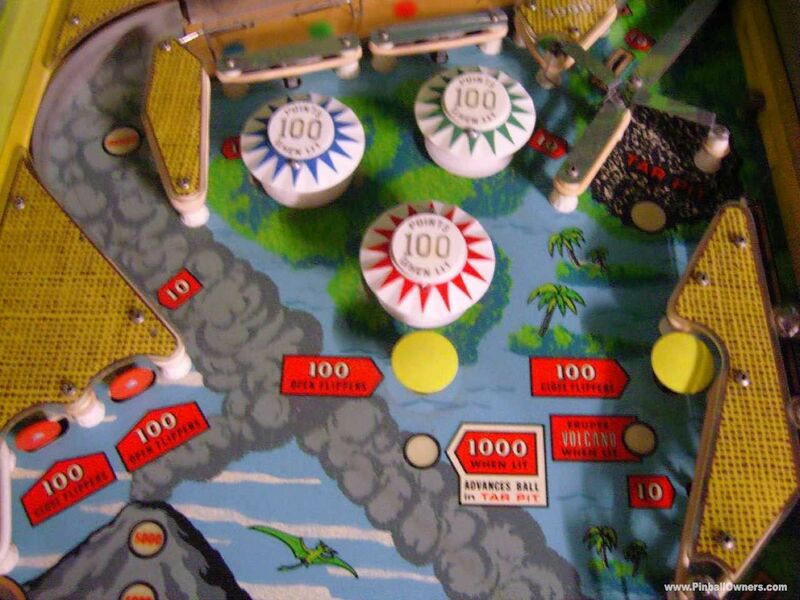 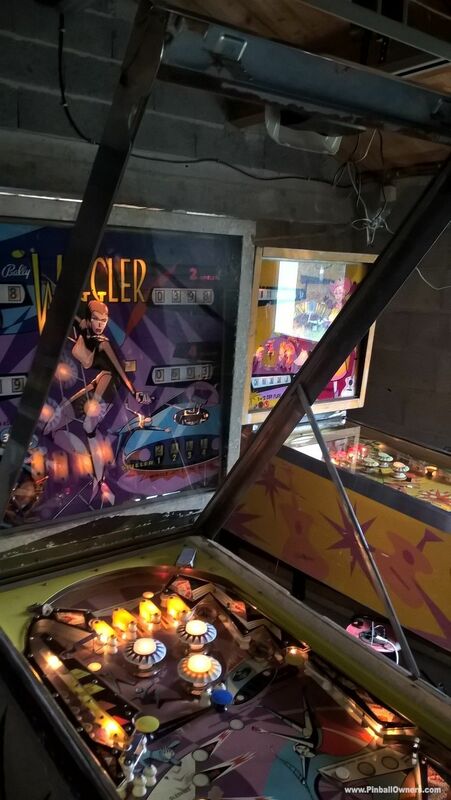 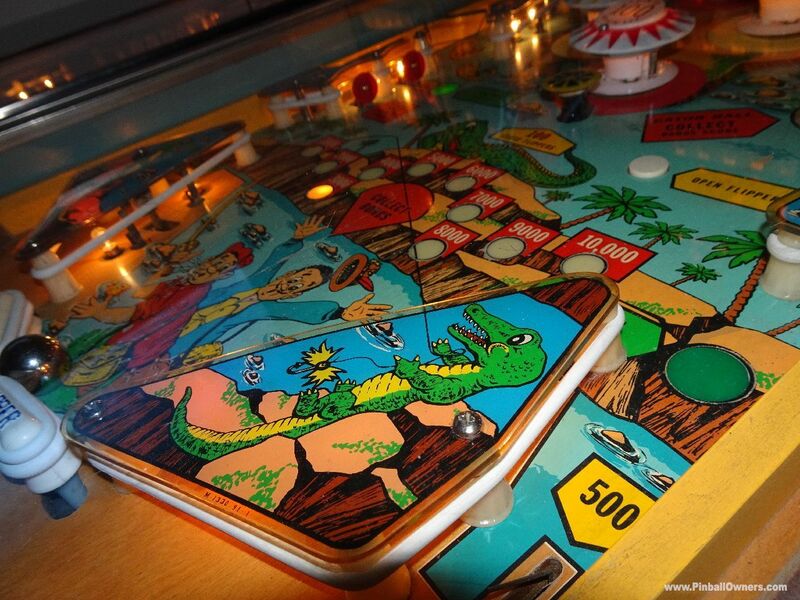 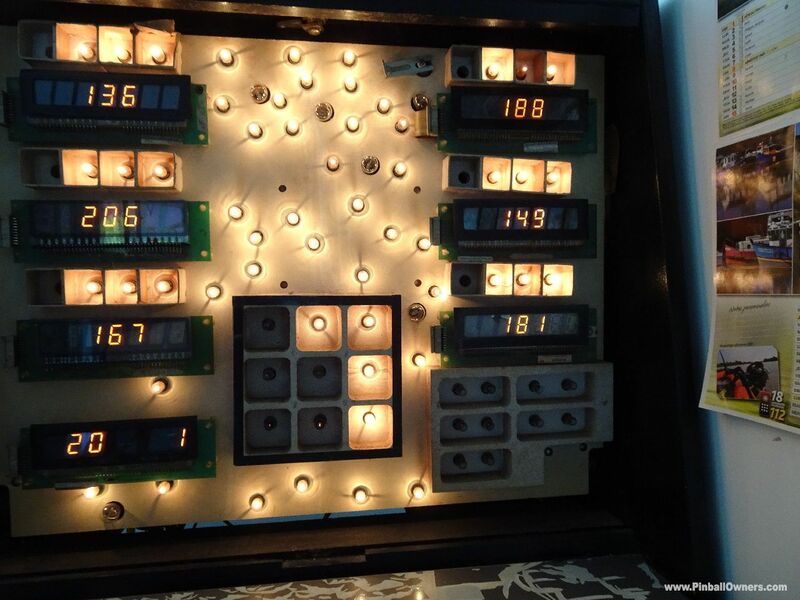 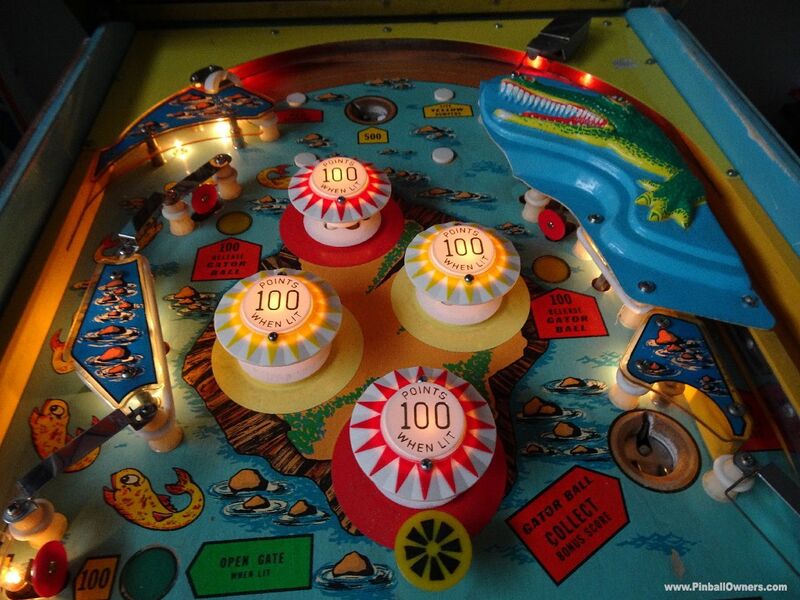 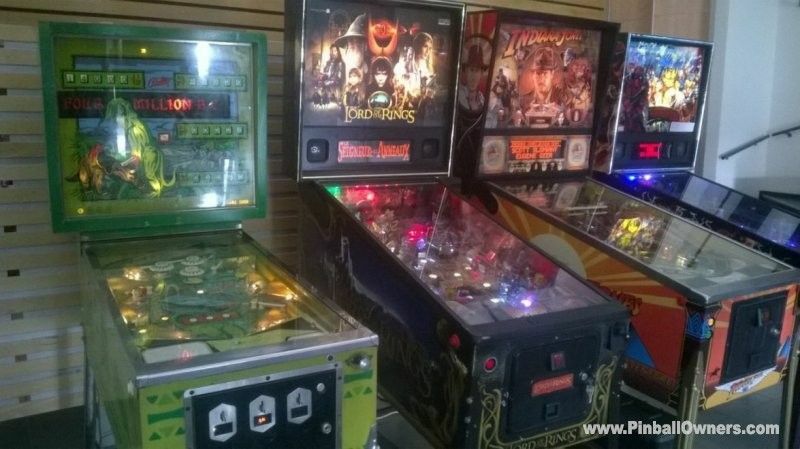 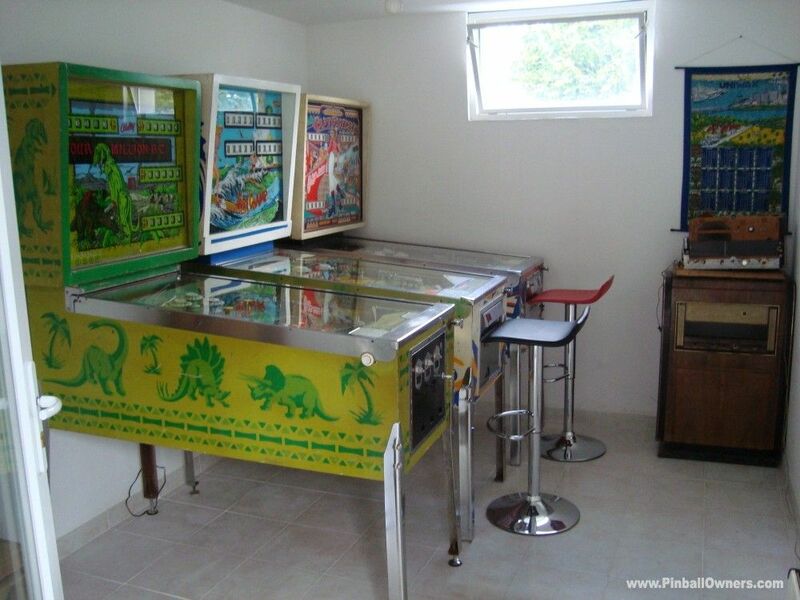 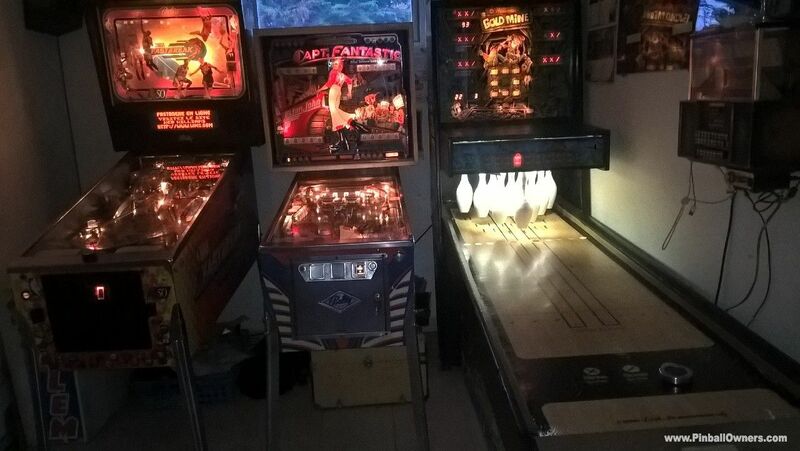 DISCLAIMER: This page shows the pinball machine Collection of PinballOwners member ballycrazy from Nantes, France. 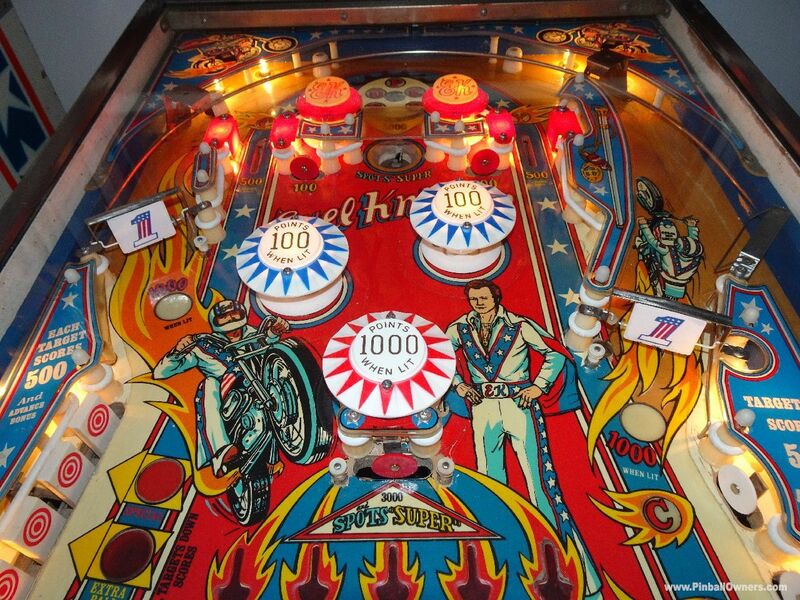 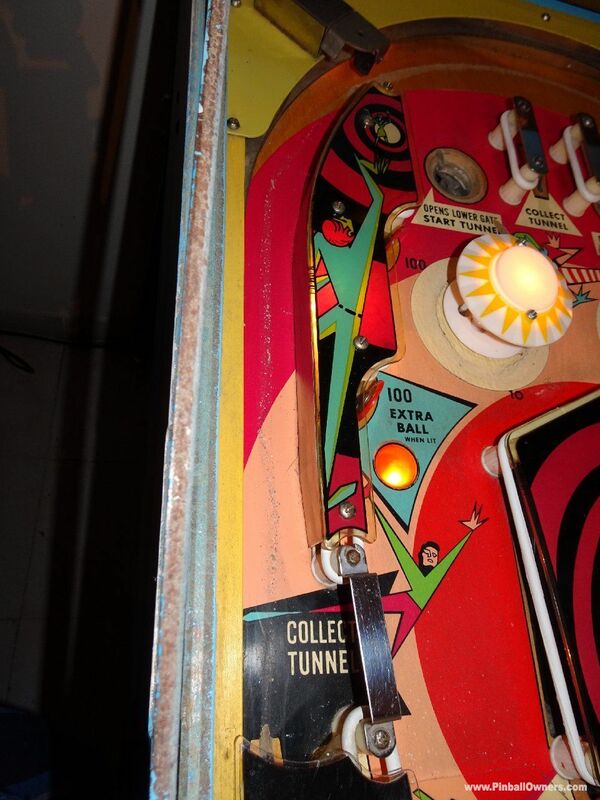 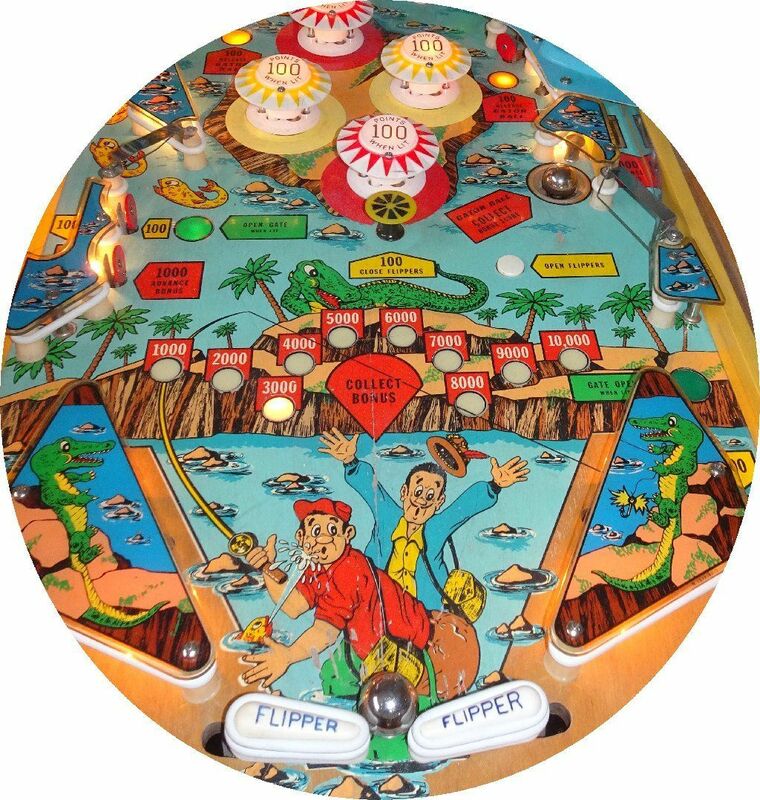 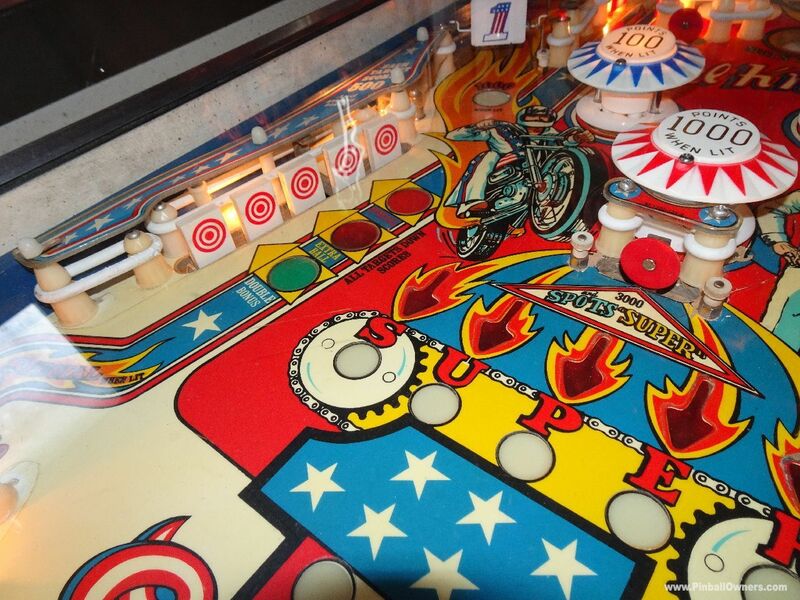 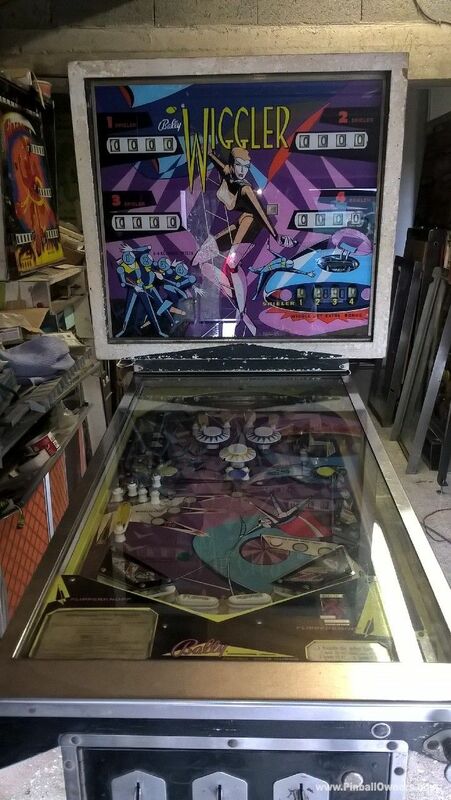 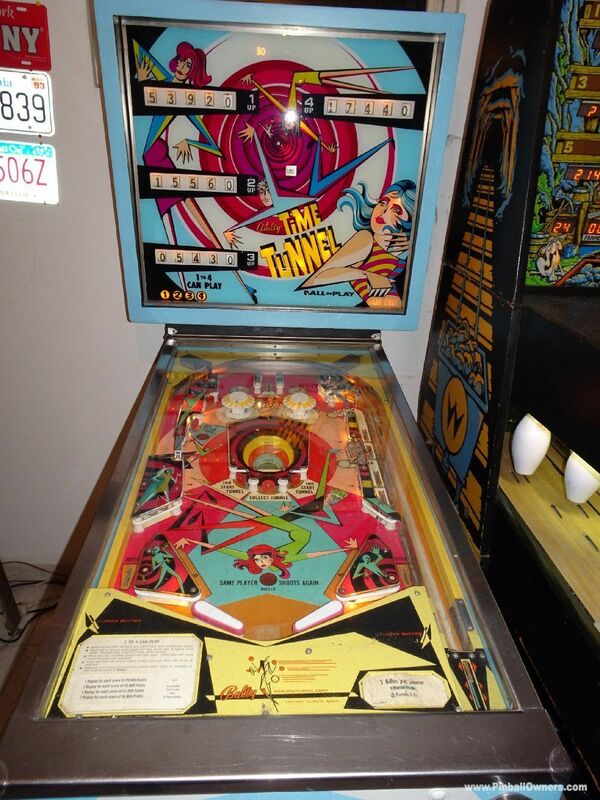 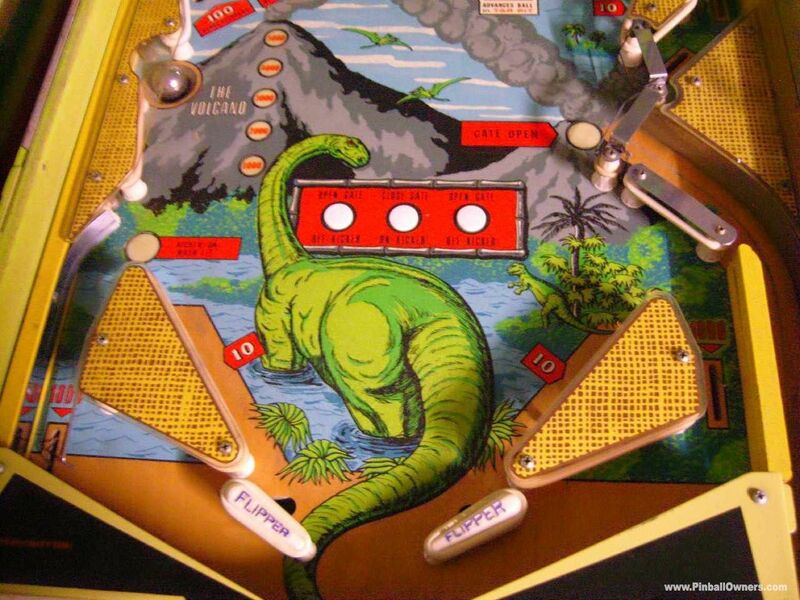 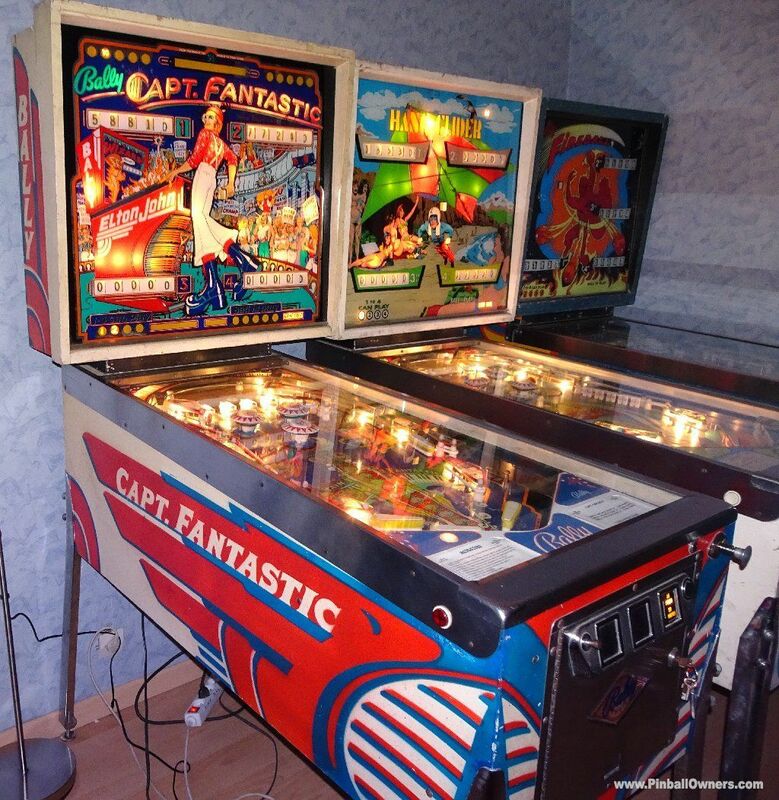 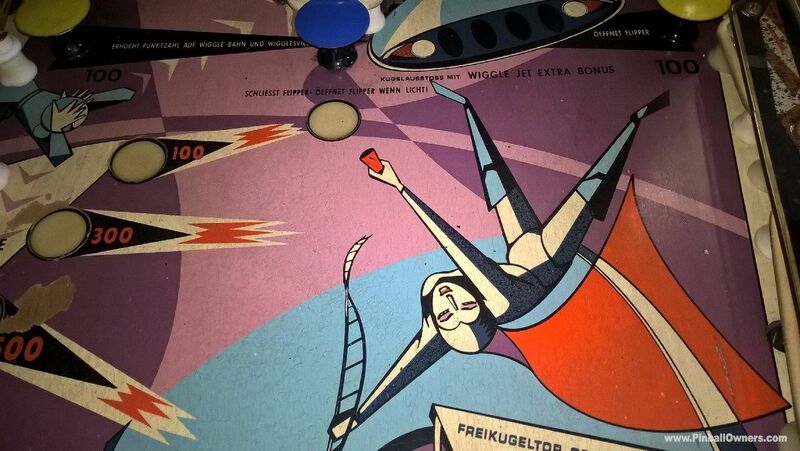 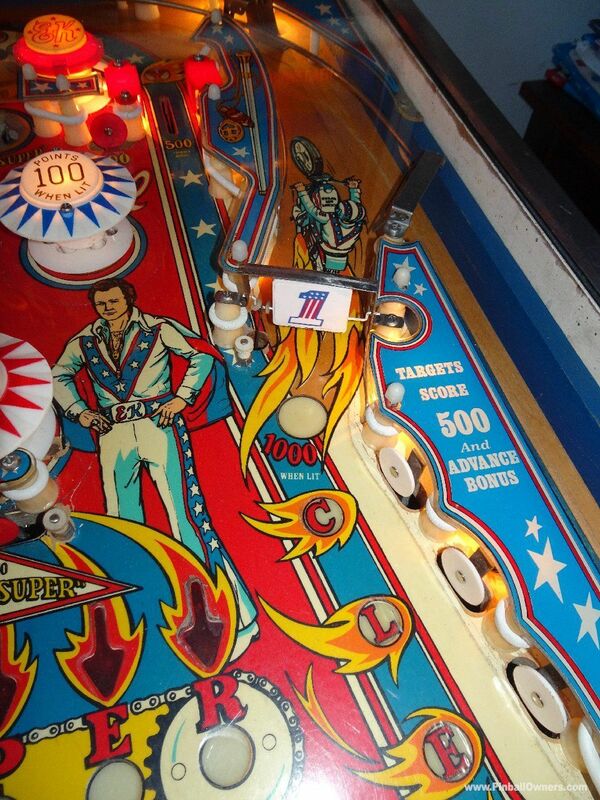 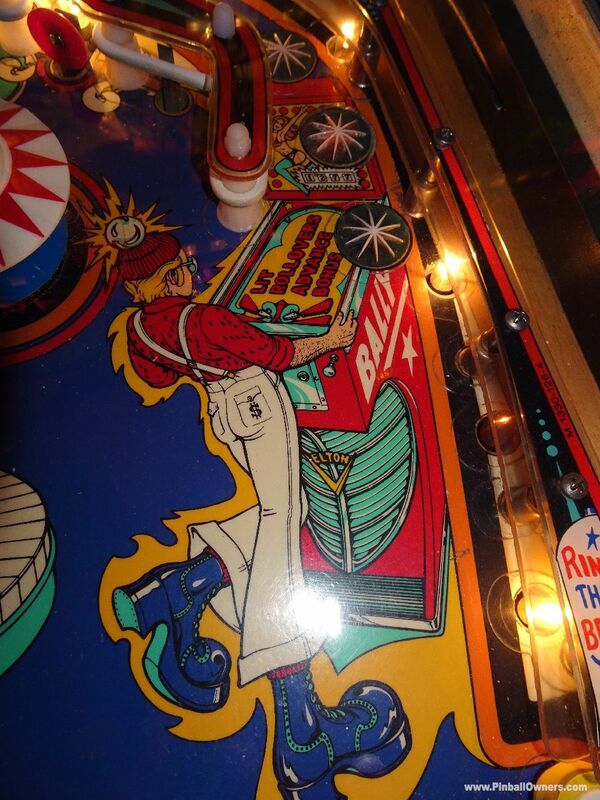 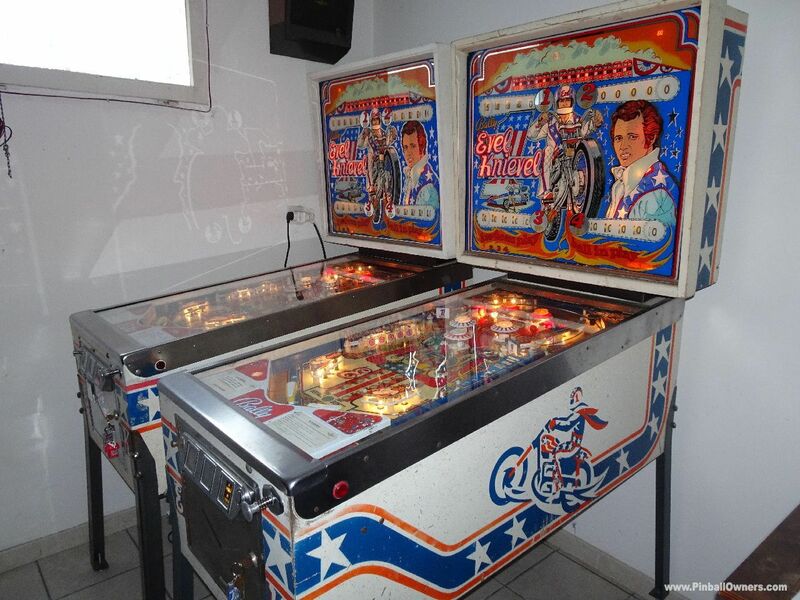 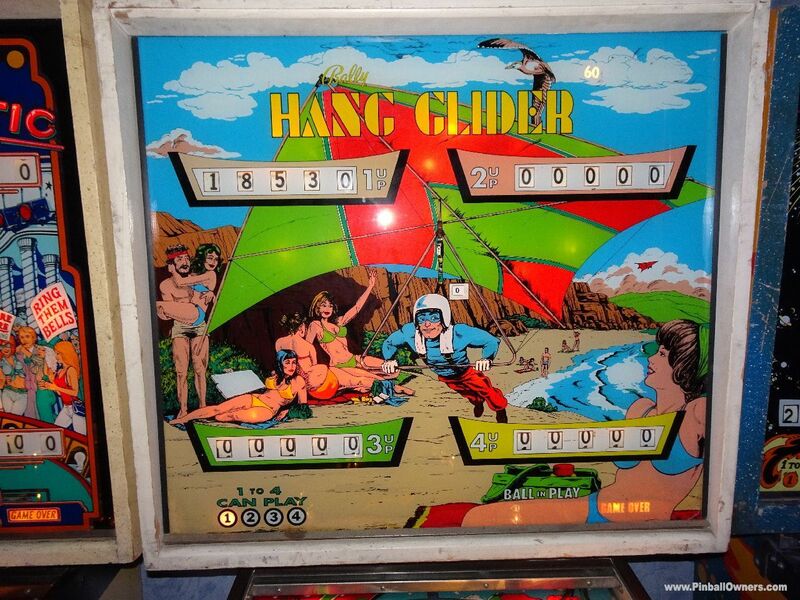 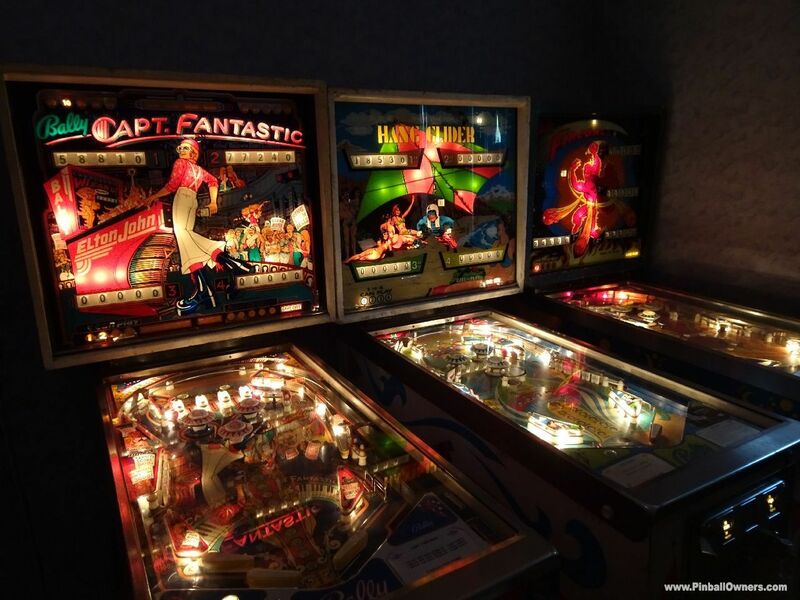 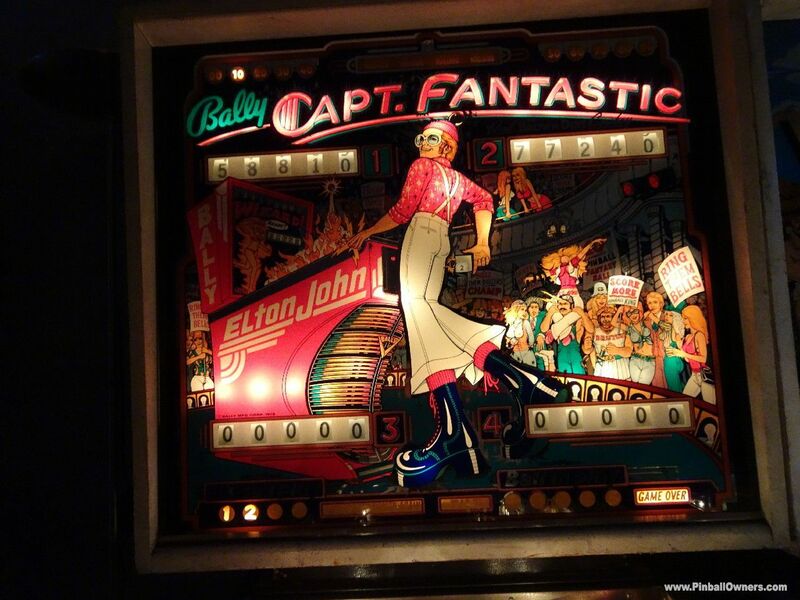 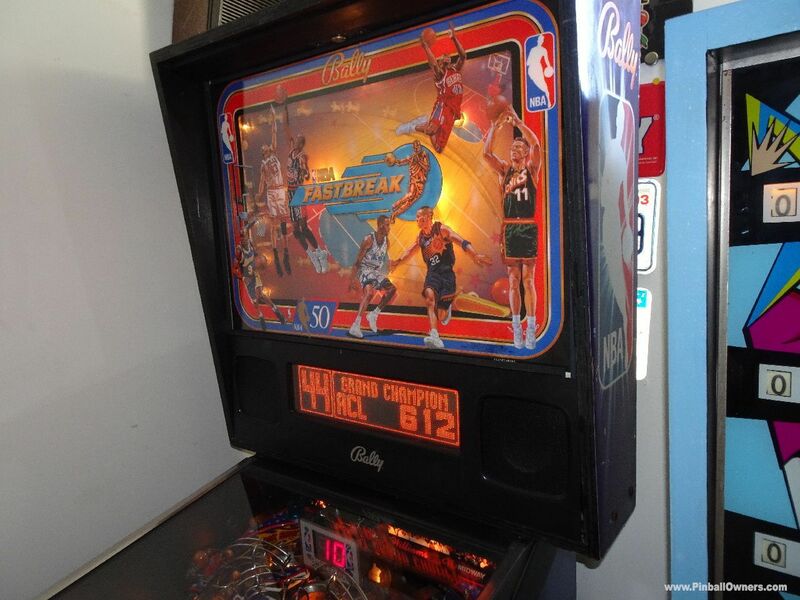 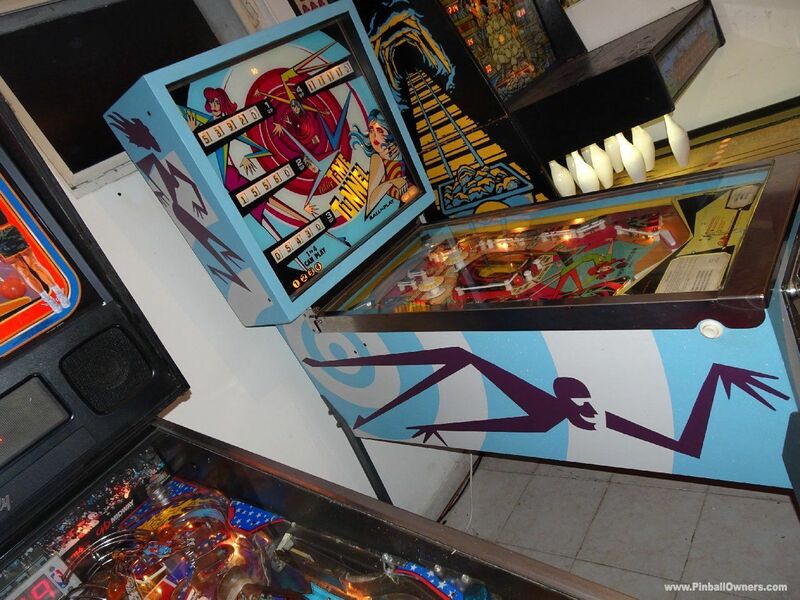 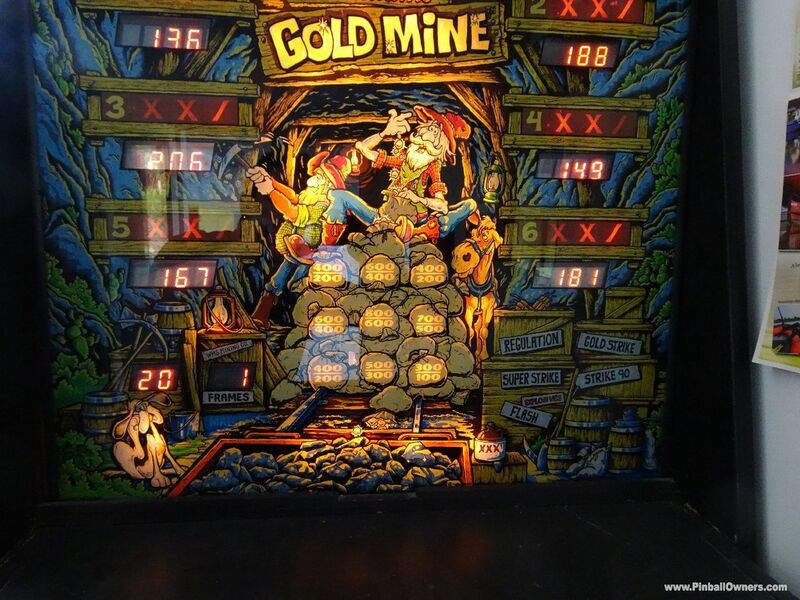 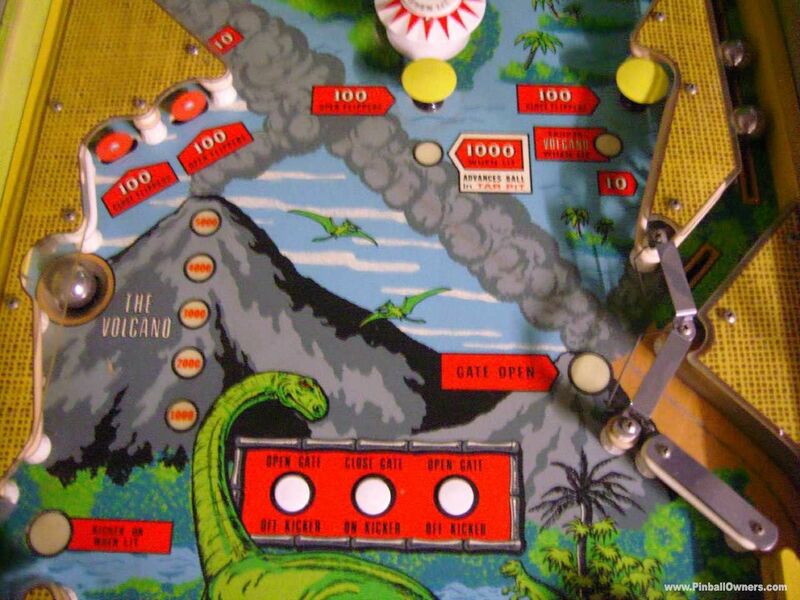 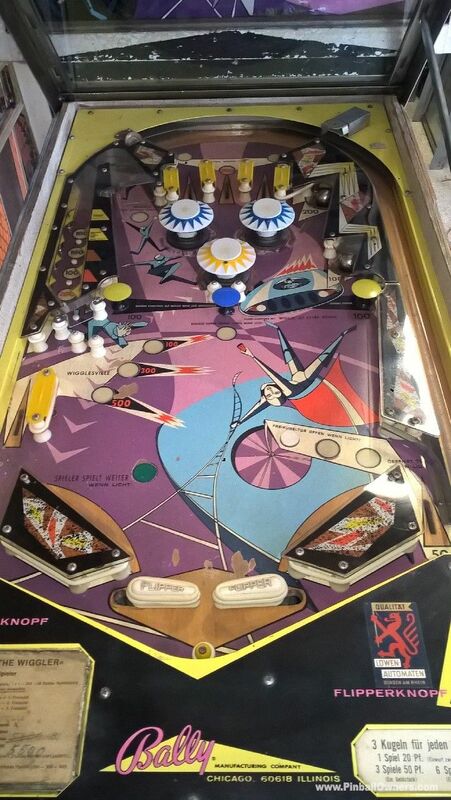 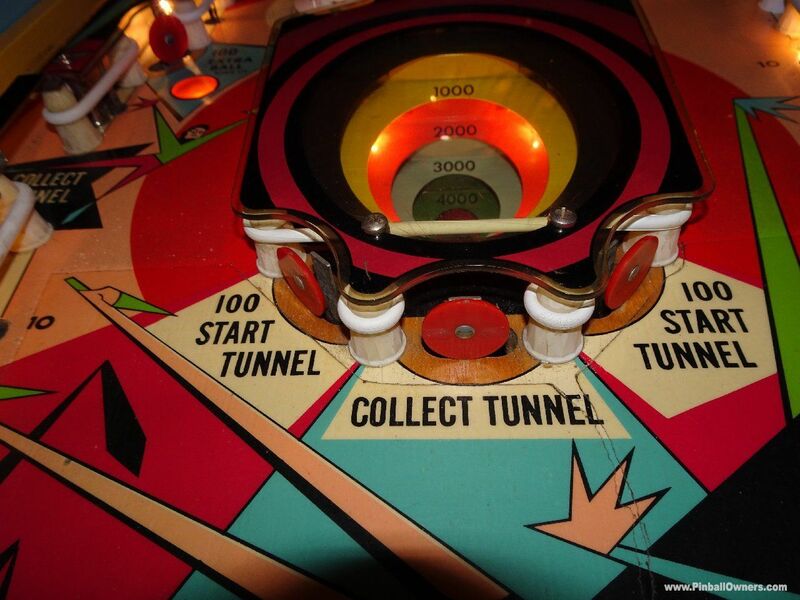 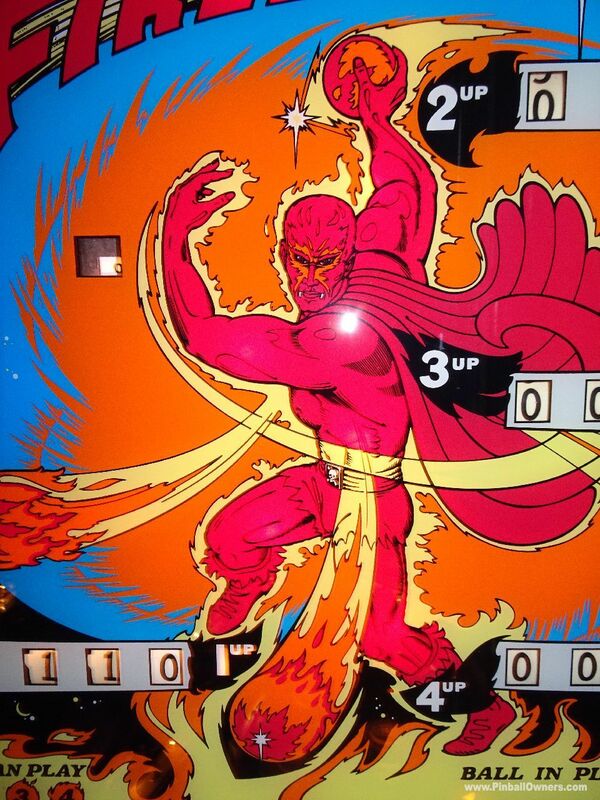 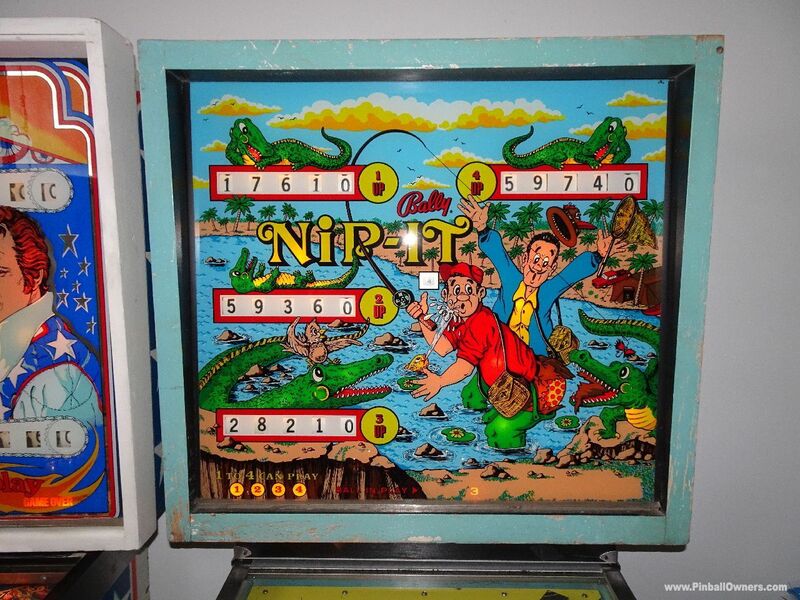 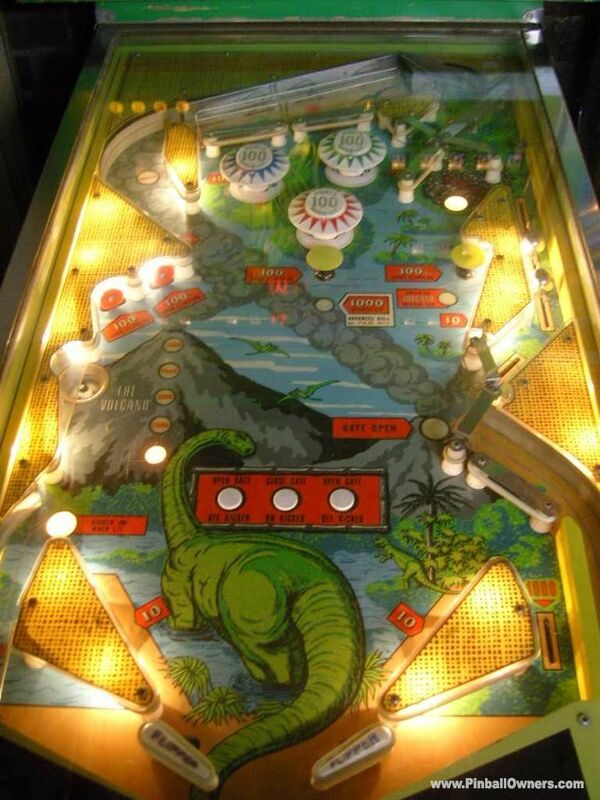 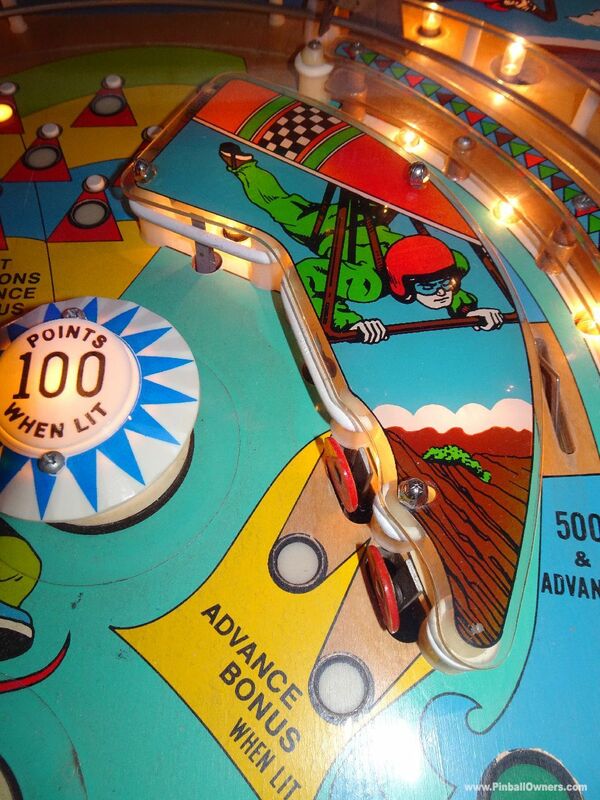 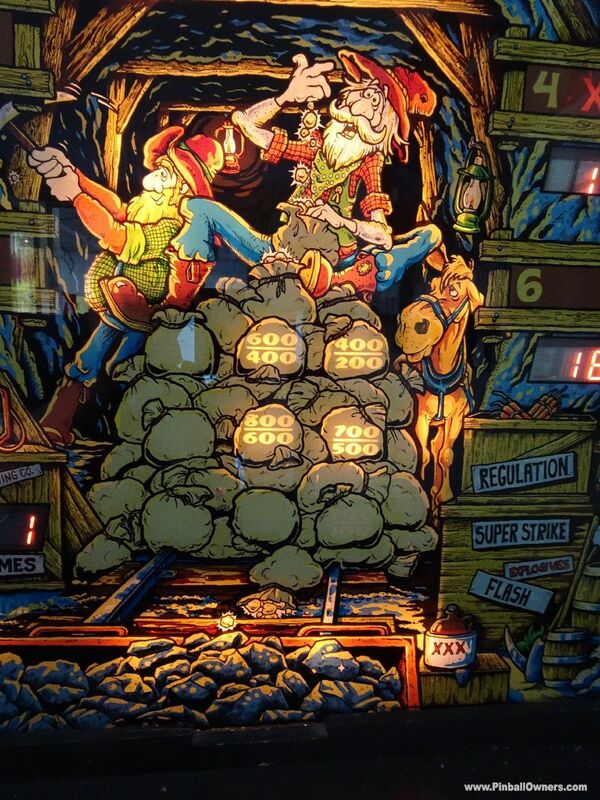 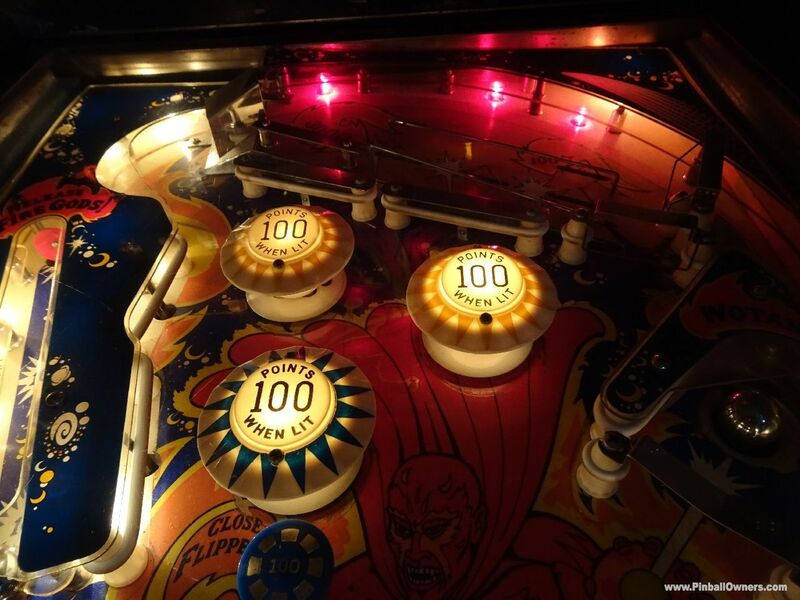 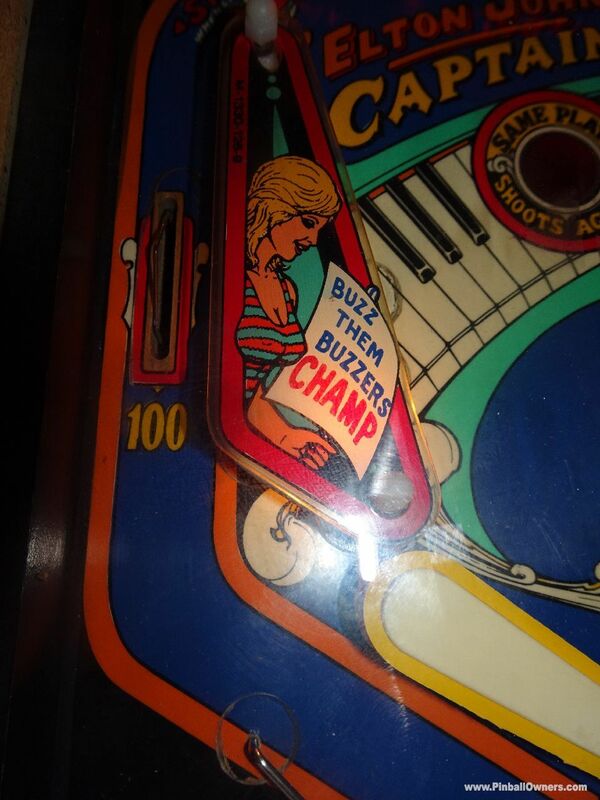 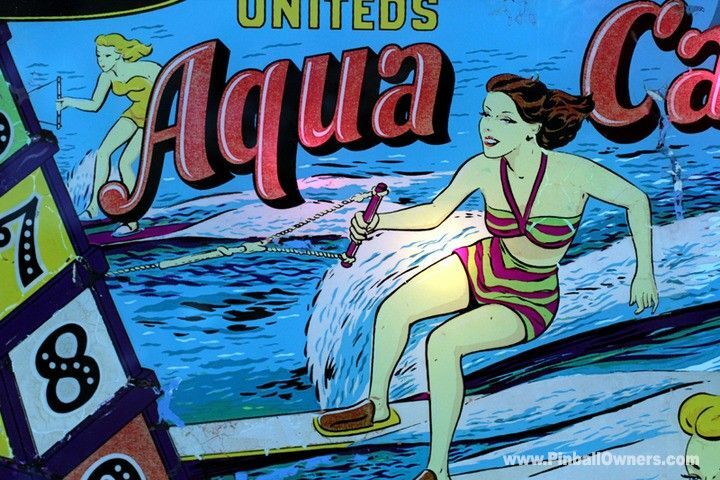 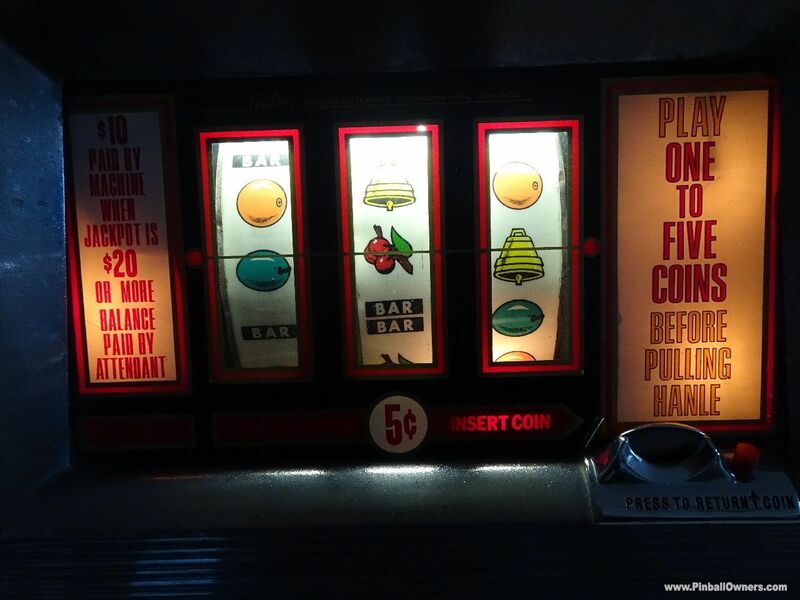 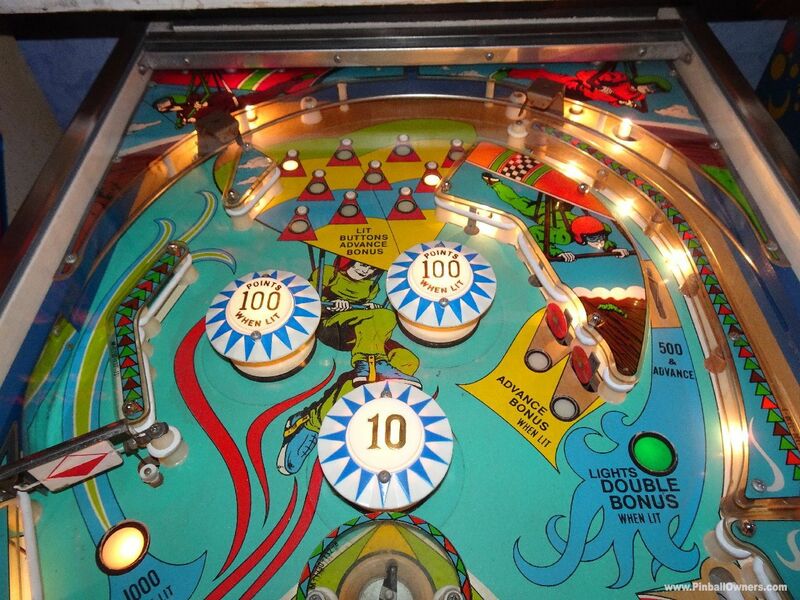 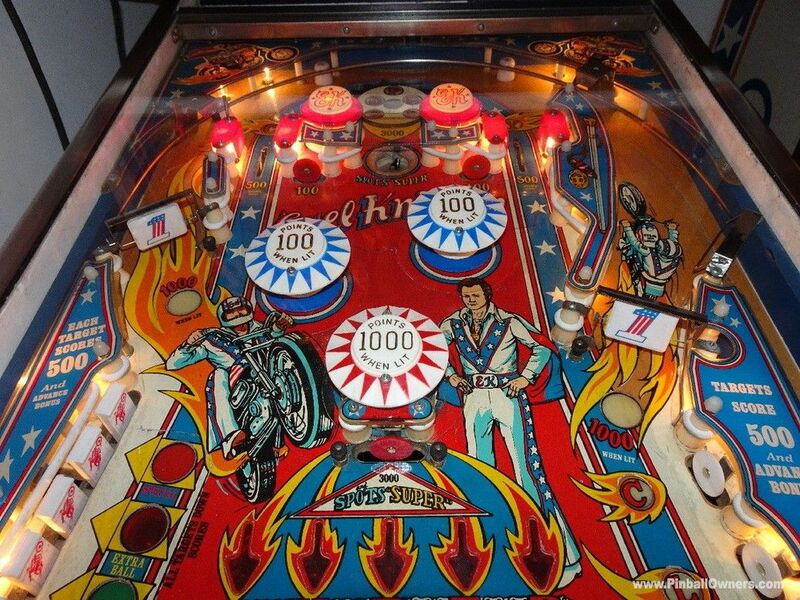 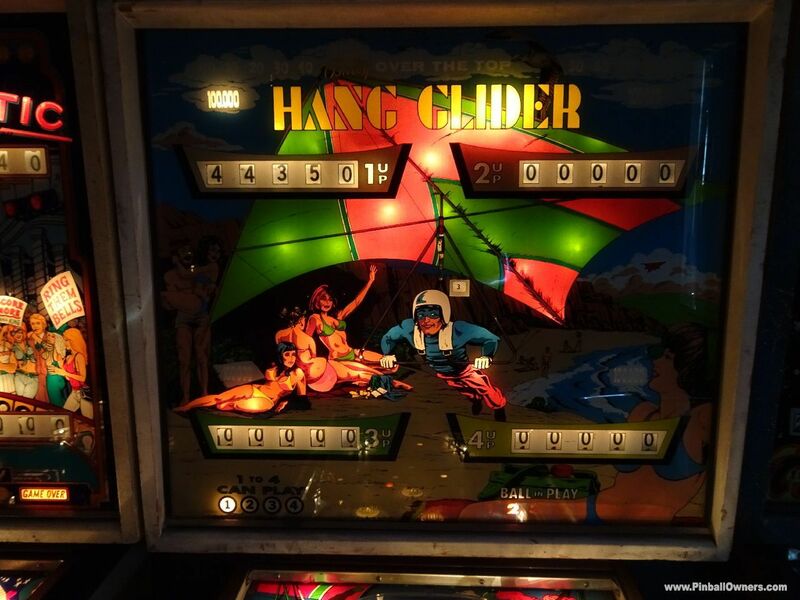 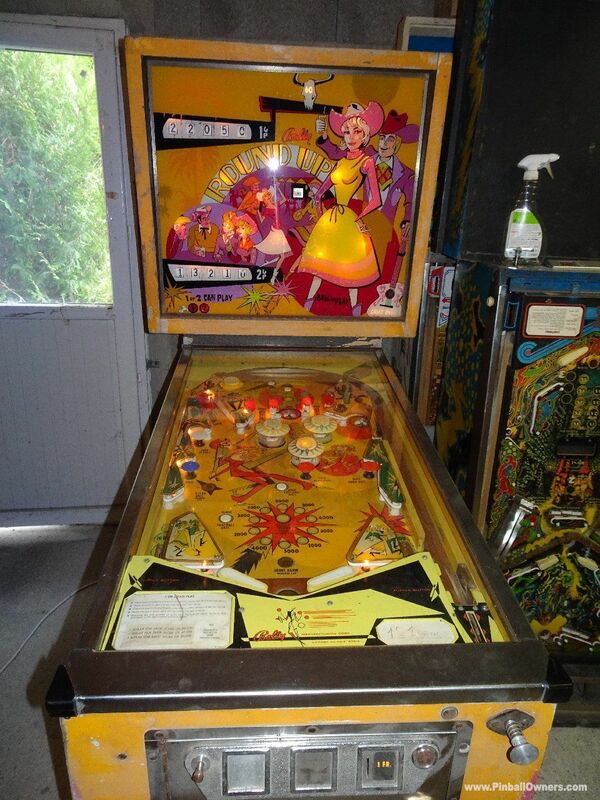 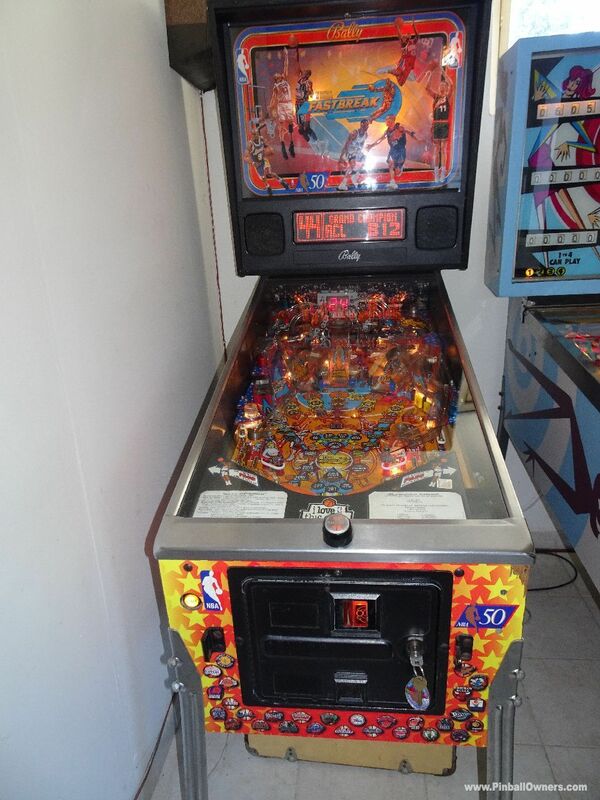 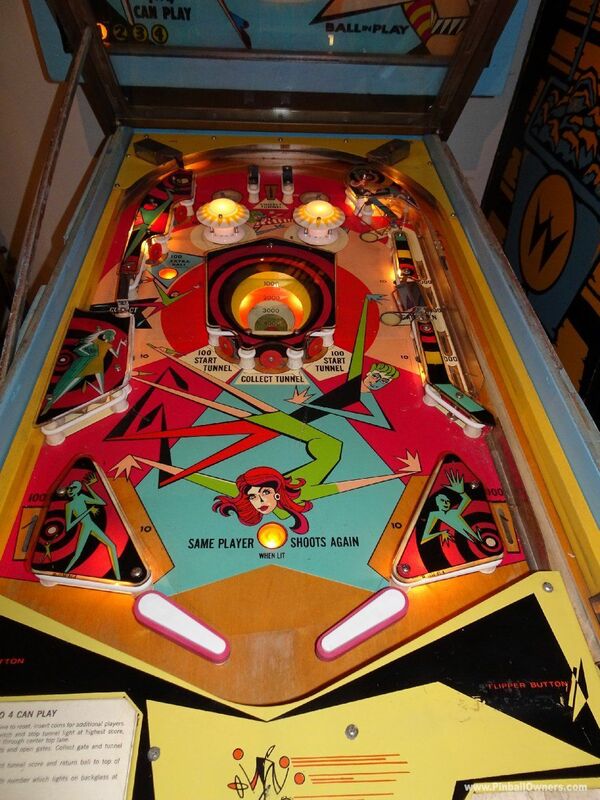 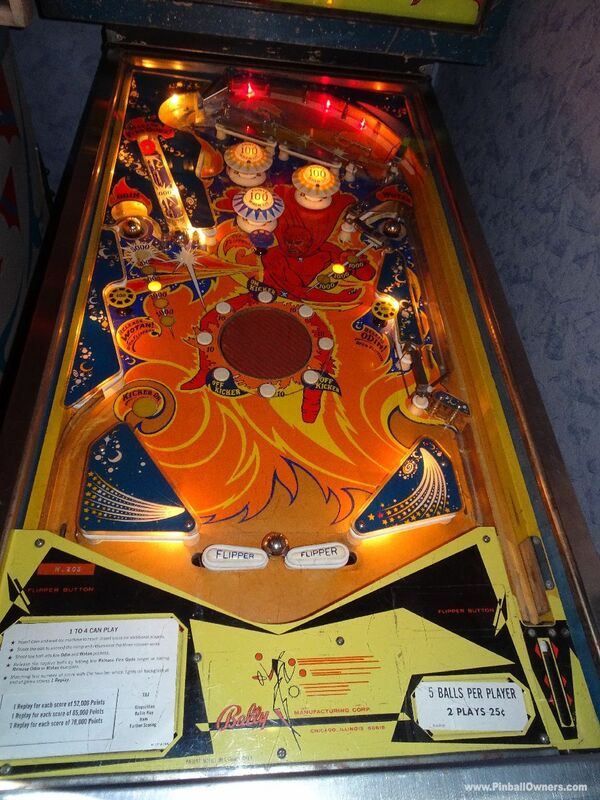 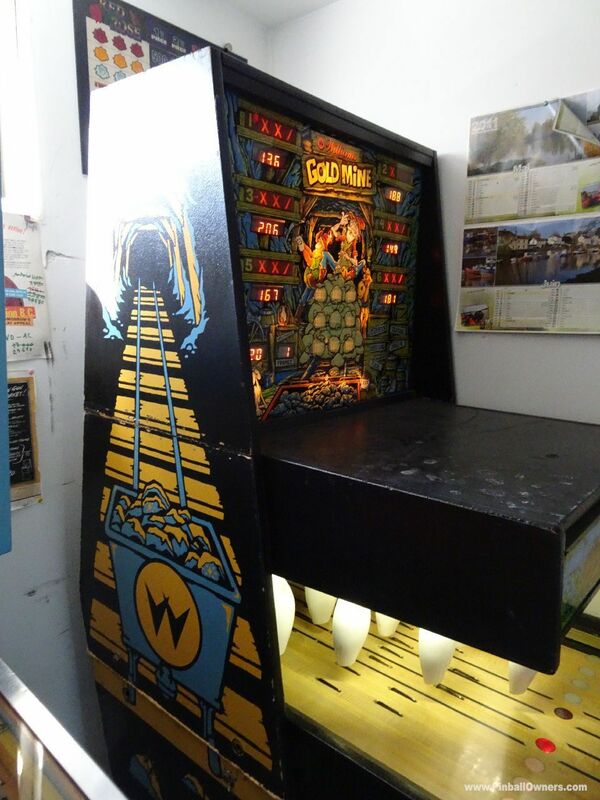 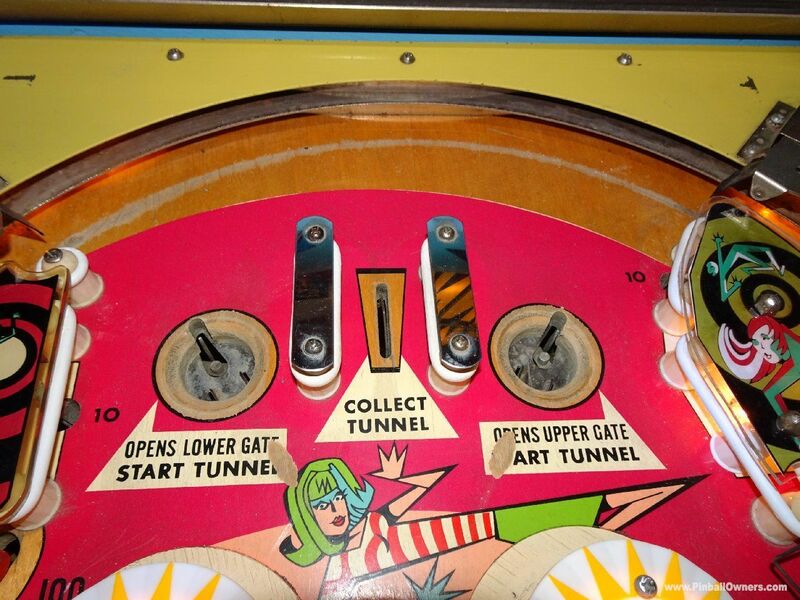 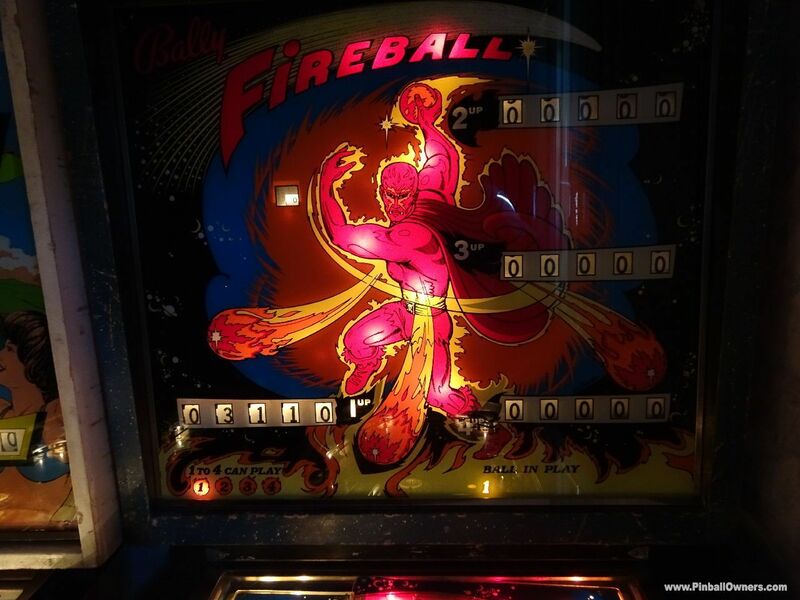 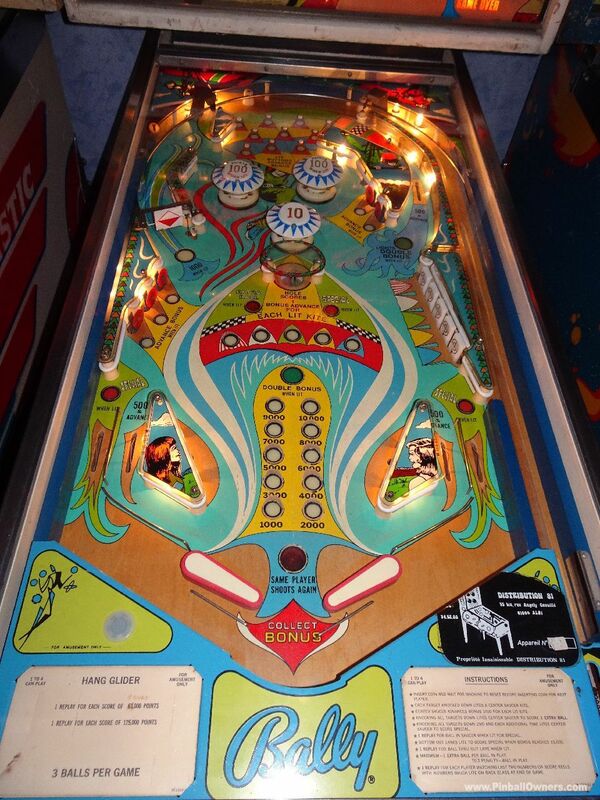 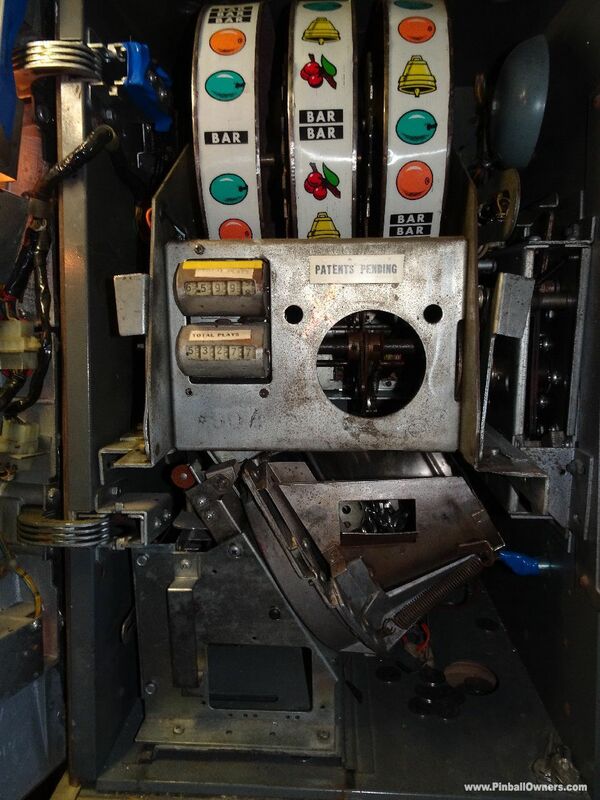 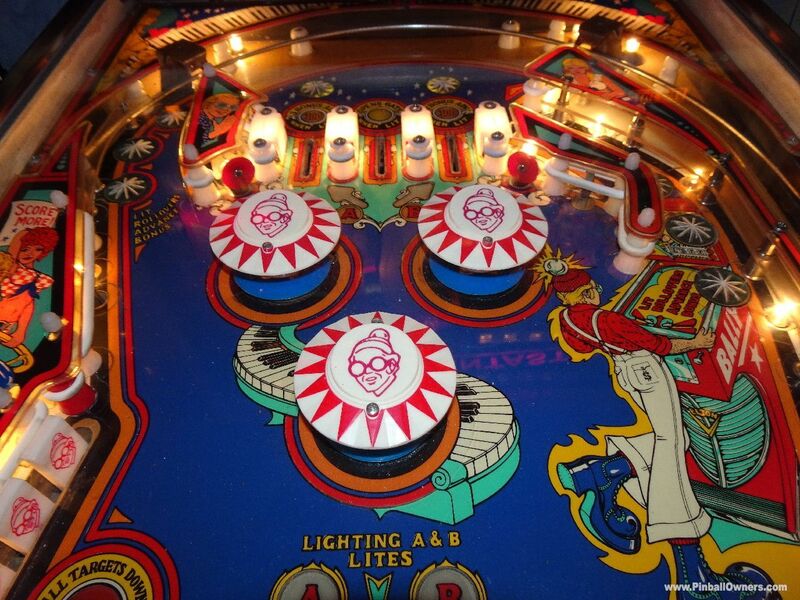 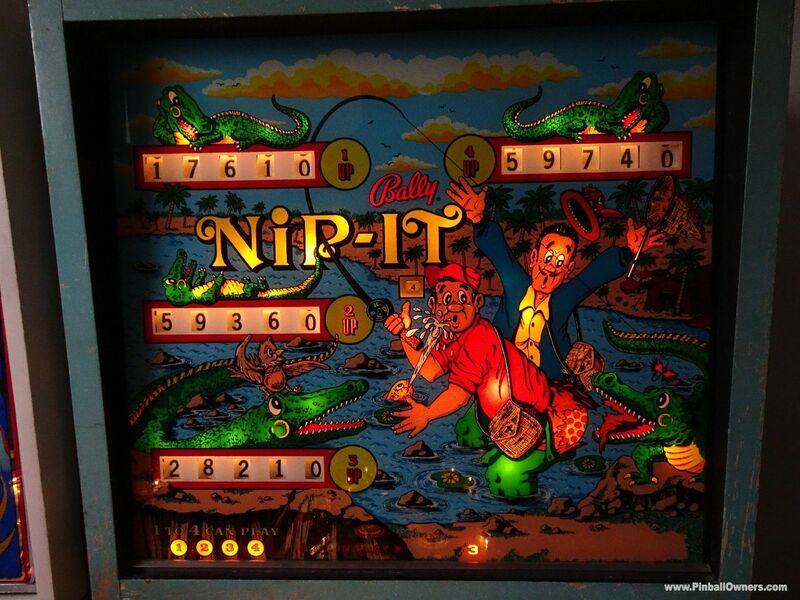 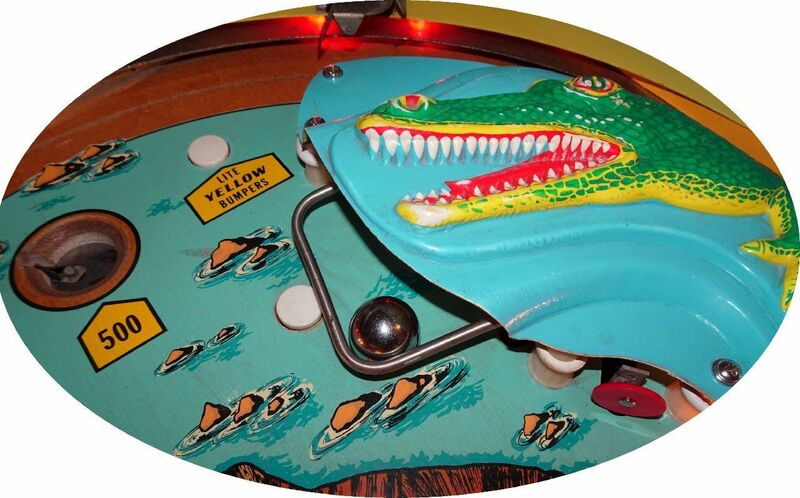 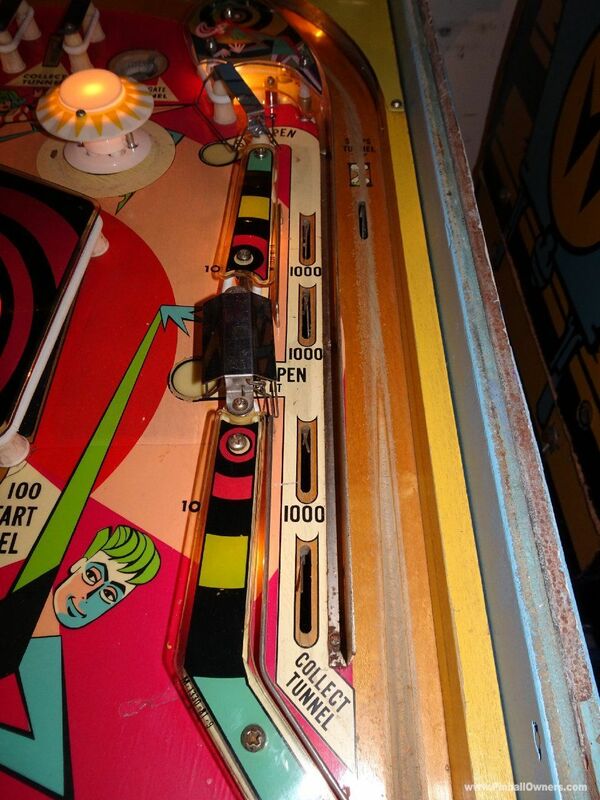 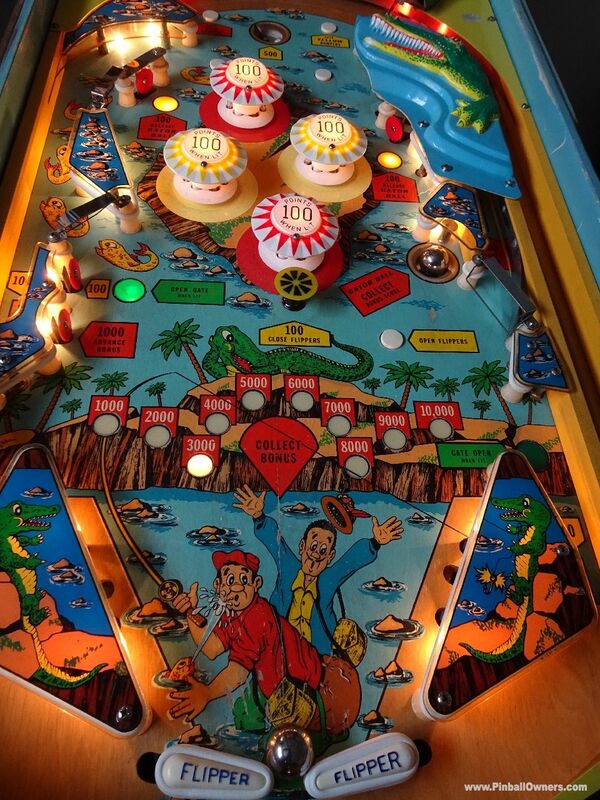 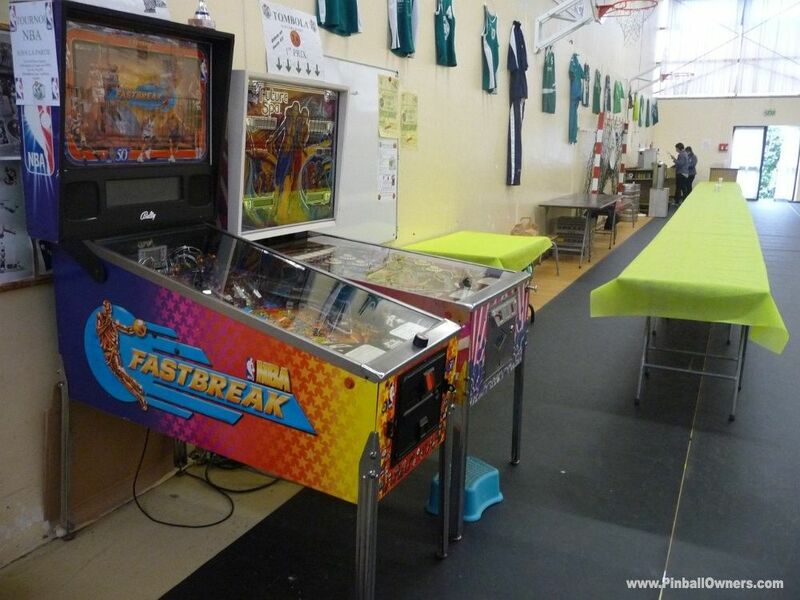 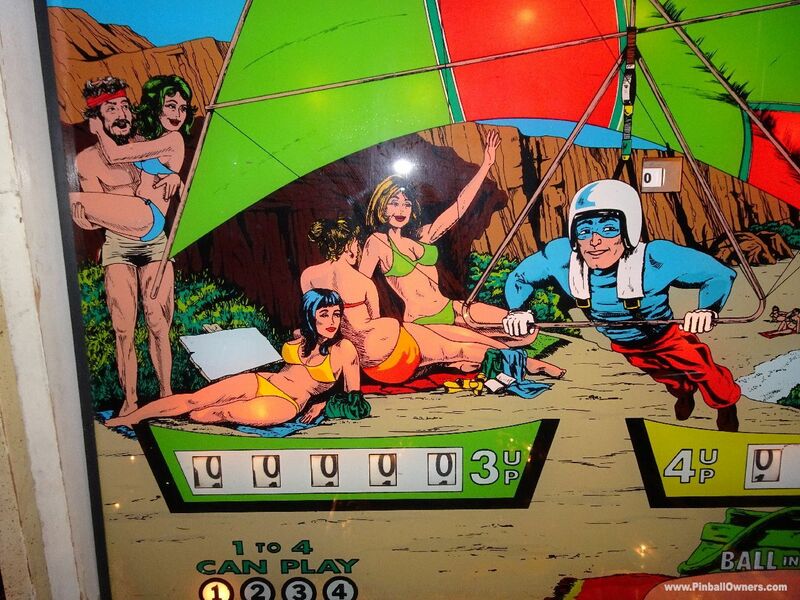 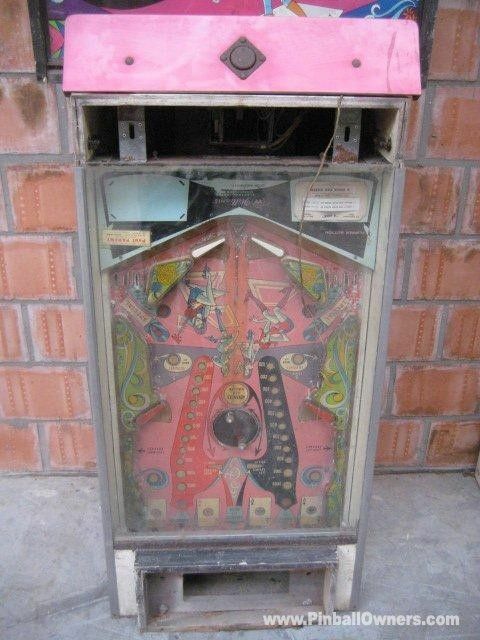 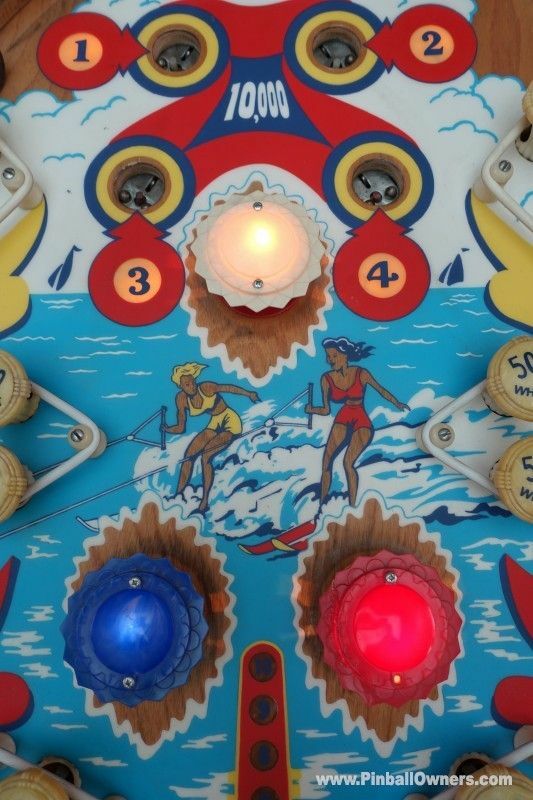 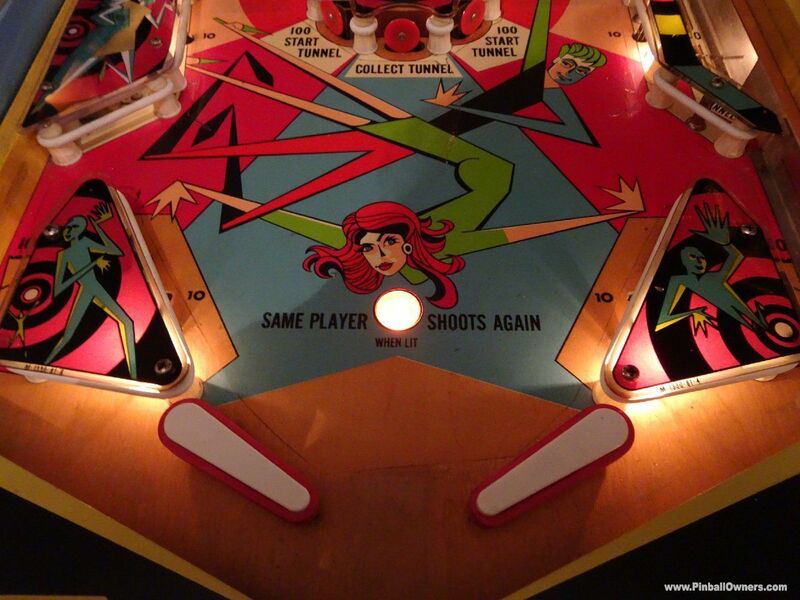 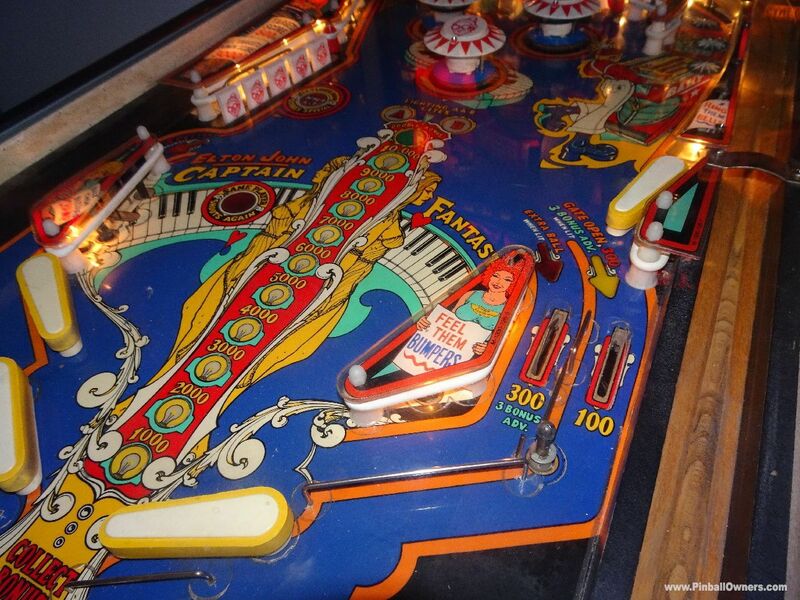 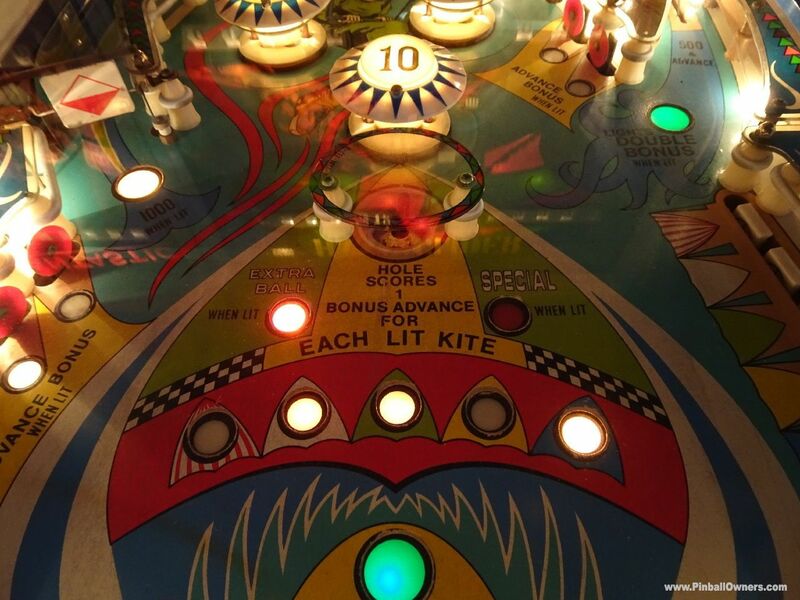 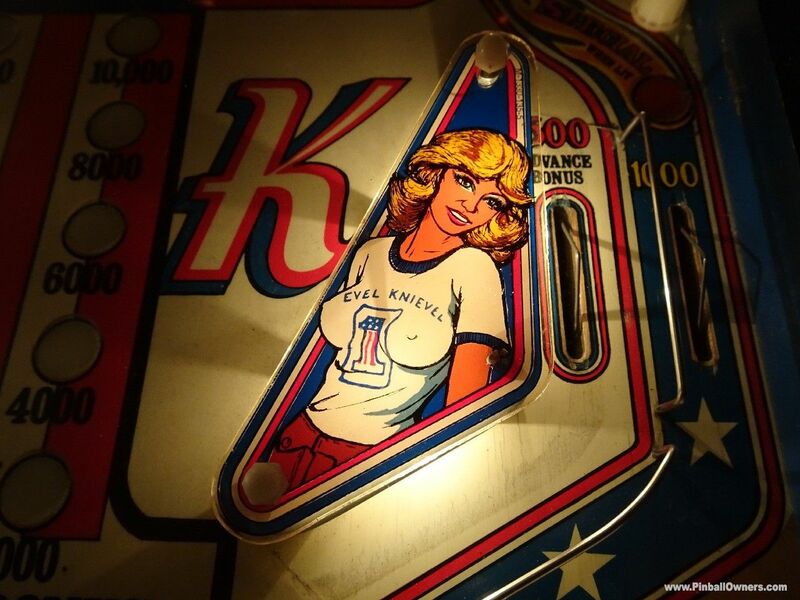 The coin operated pinball machines listed above, including their images, were uploaded into our database by ballycrazy himself; ballycrazy is the sole responsible for the information contained in this page. 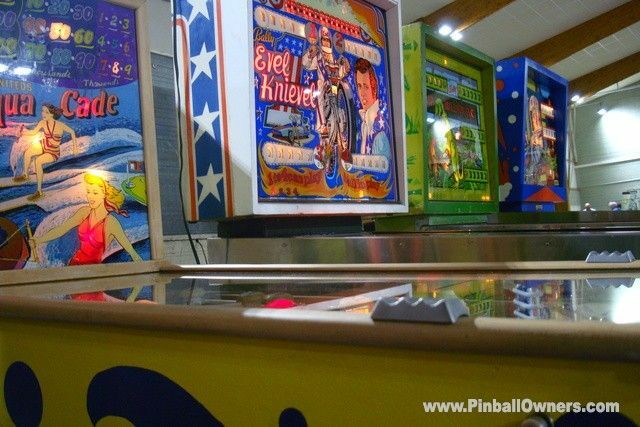 The pinball machines shown above are not necessarily for sale! 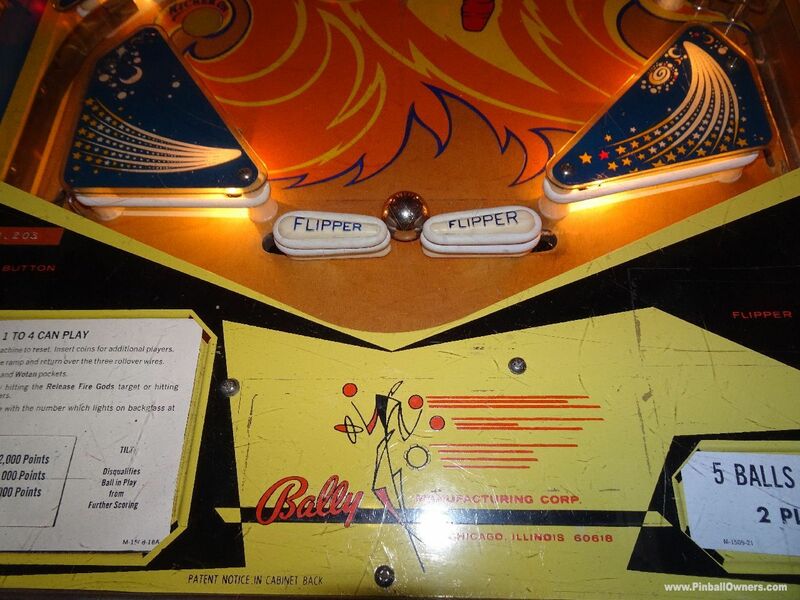 Please refer to the 4th column in the list to know whether a certain pinball is for sale or not. 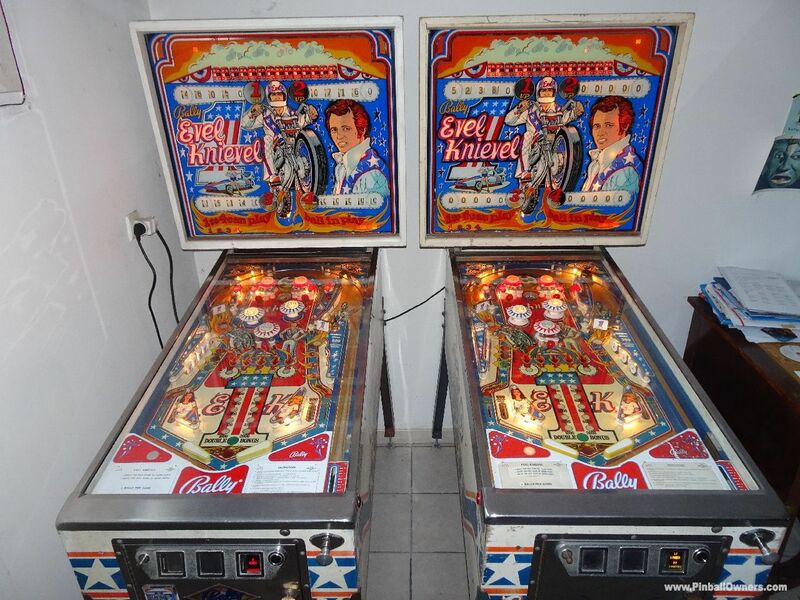 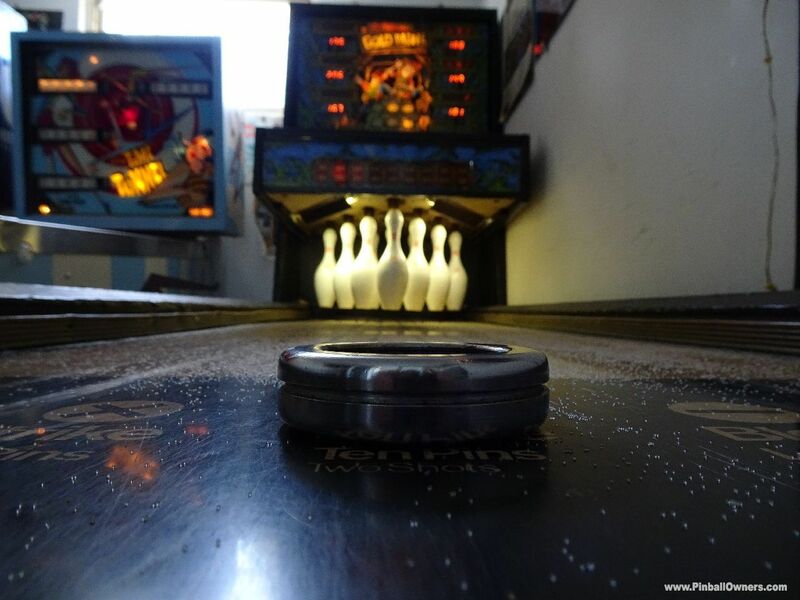 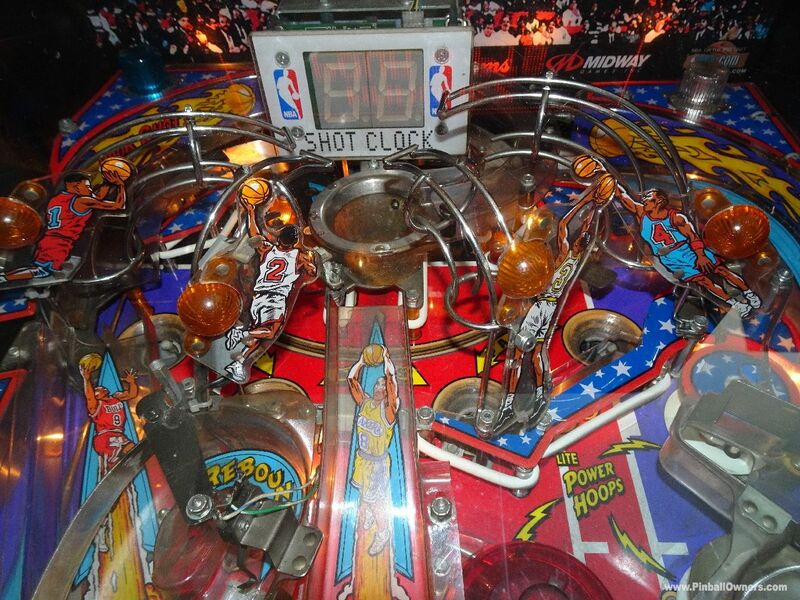 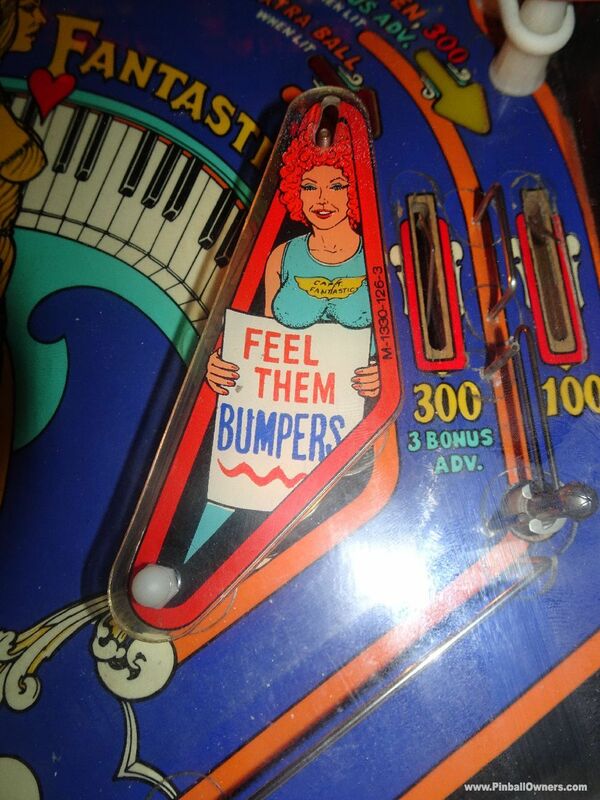 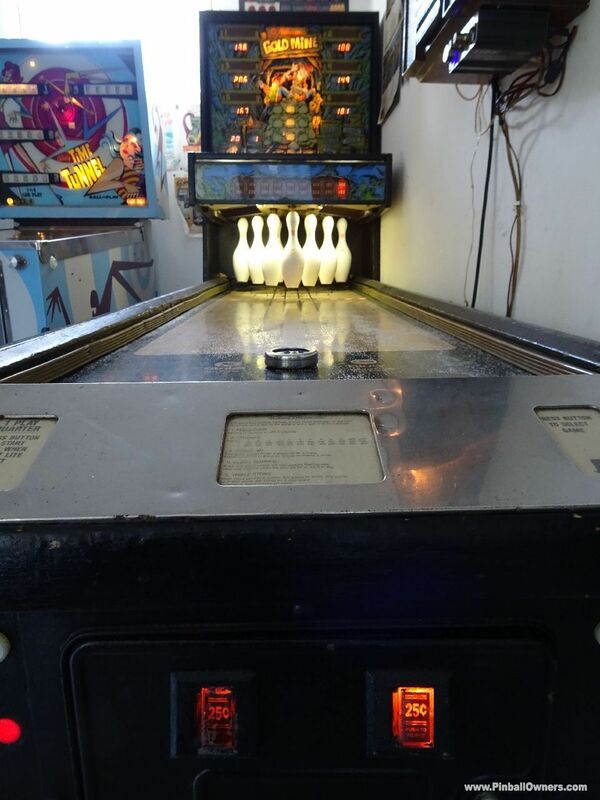 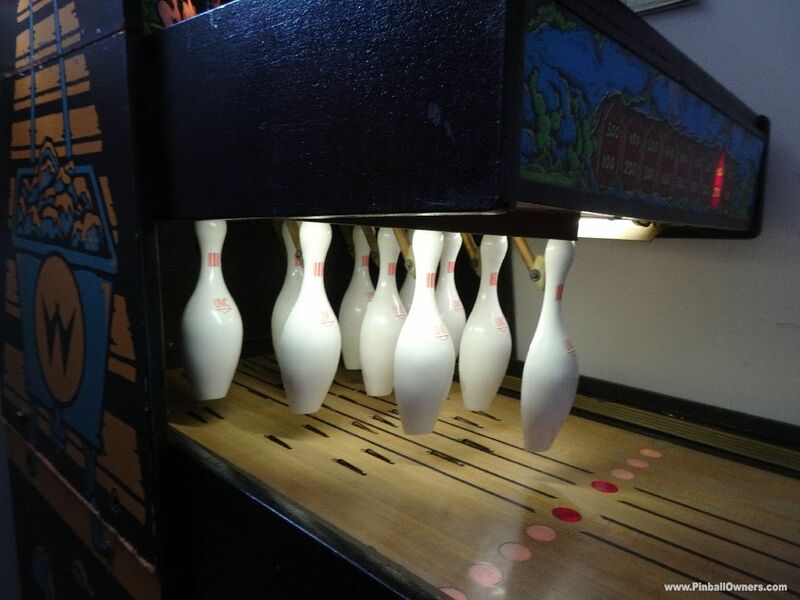 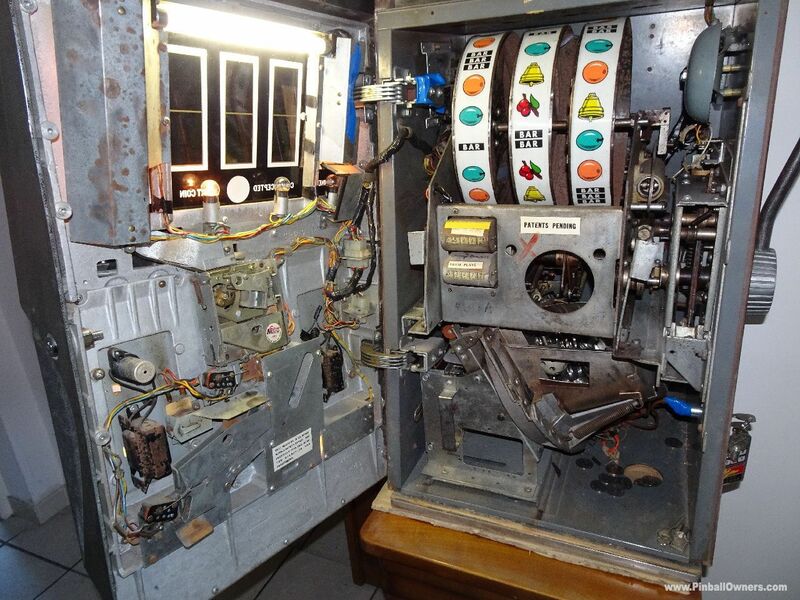 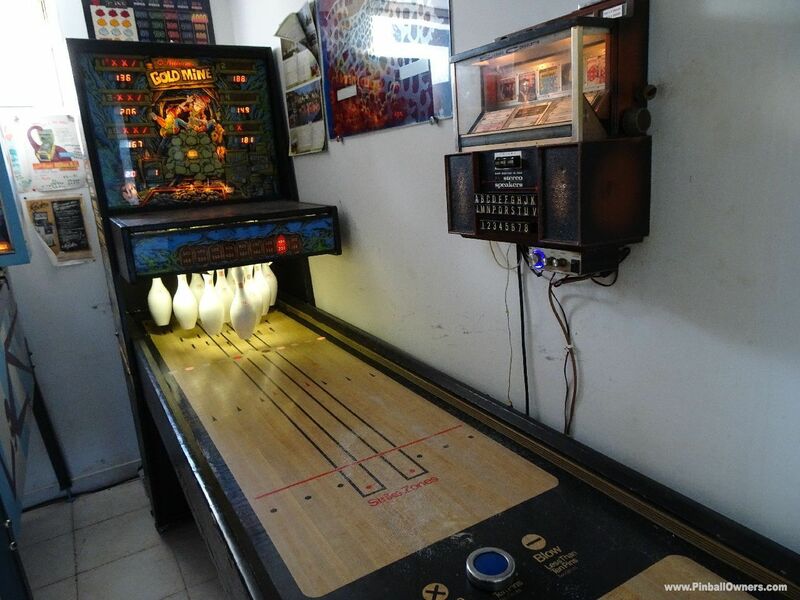 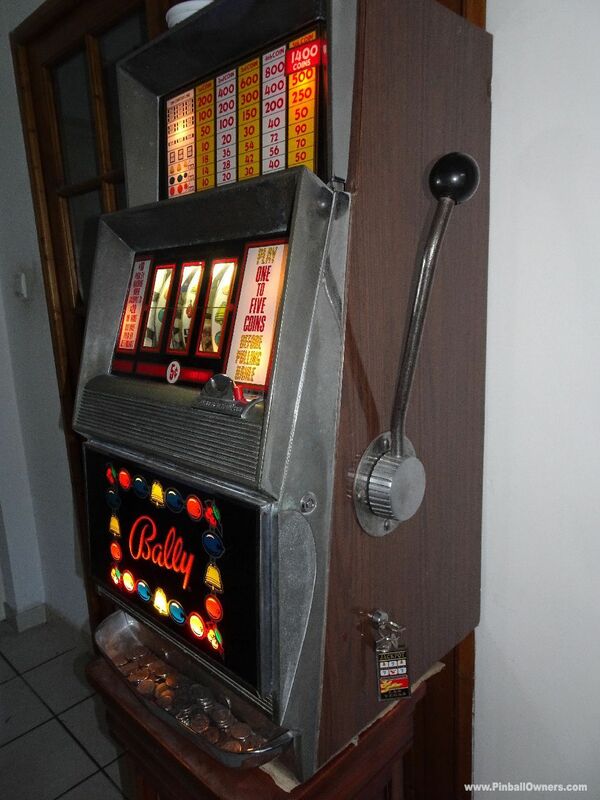 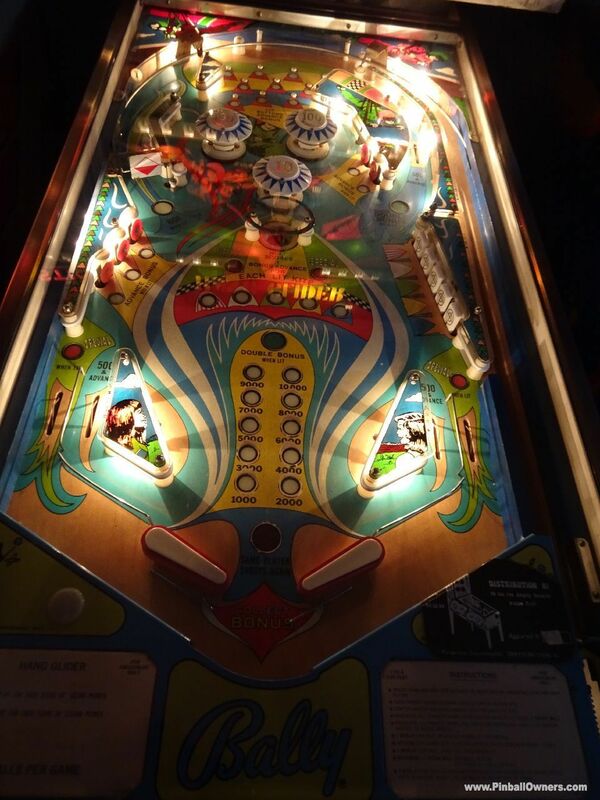 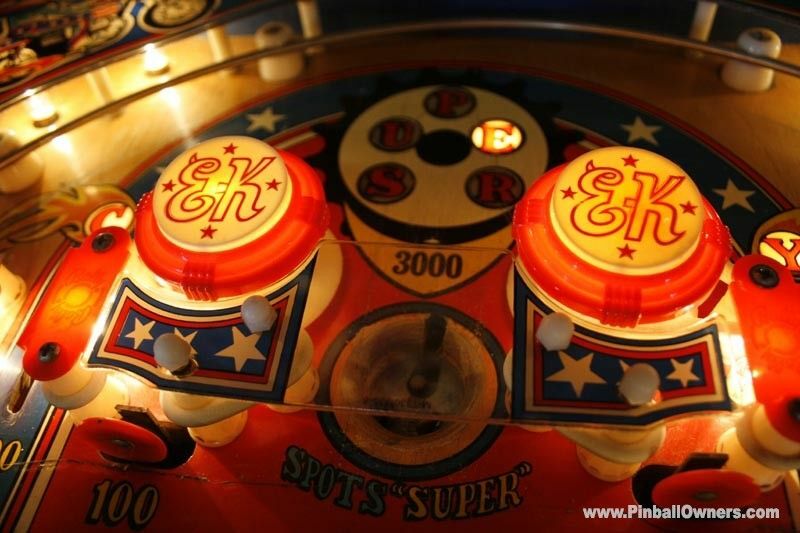 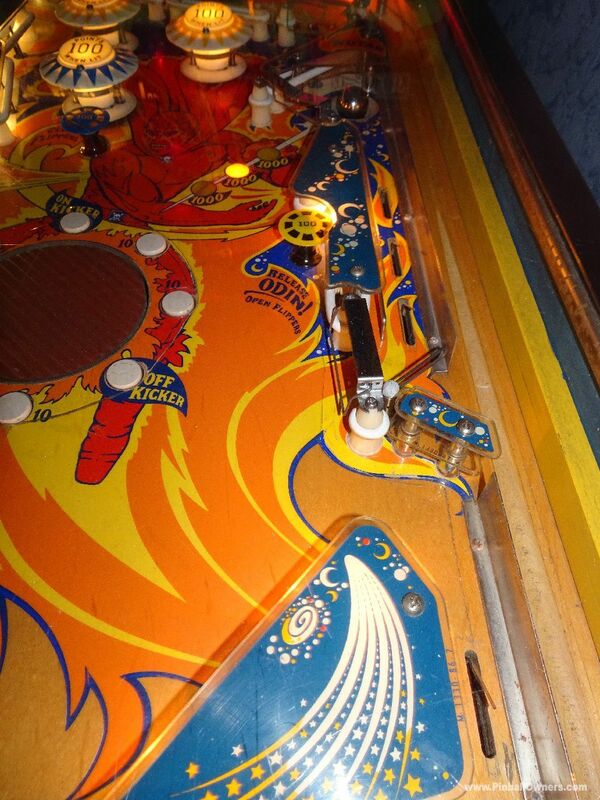 Most likely ballycrazy's pinball machines are second-hand (used) pinballs that were once installed in bars and other public places; their value as a collectible largely depends on appearance and functionality of every single machine. 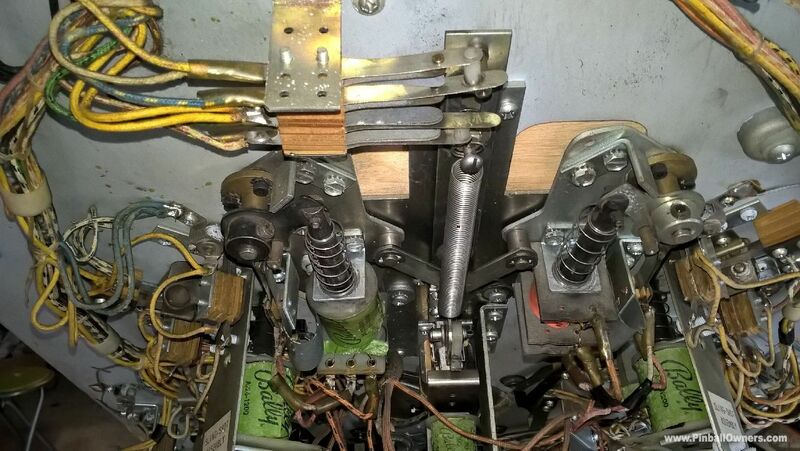 Une pointure en d�pannage de m�ca, toujours pr�t � rendre service et � participer aux �v�nements flipp�ristiques, un mec en or en v�rit�, merci � toi et � bient�t ! 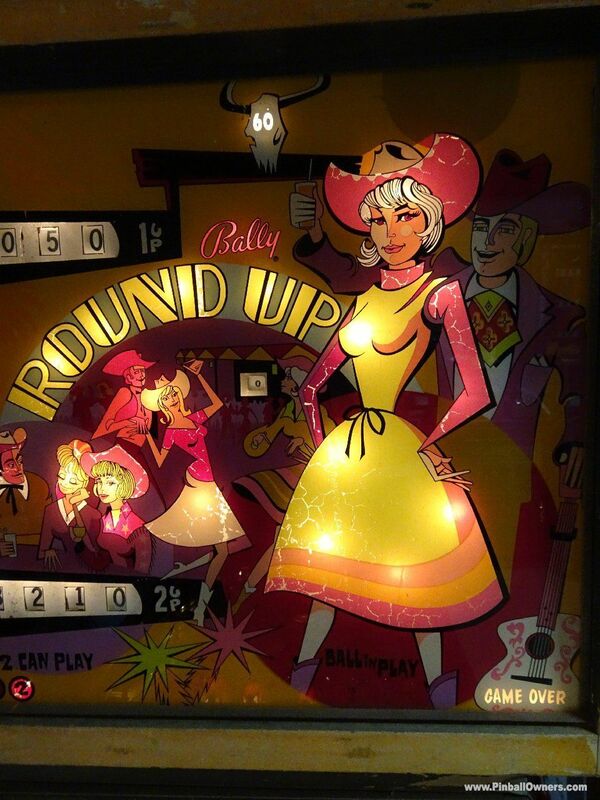 Belle collection avec de belles raret�s chez Bally!! 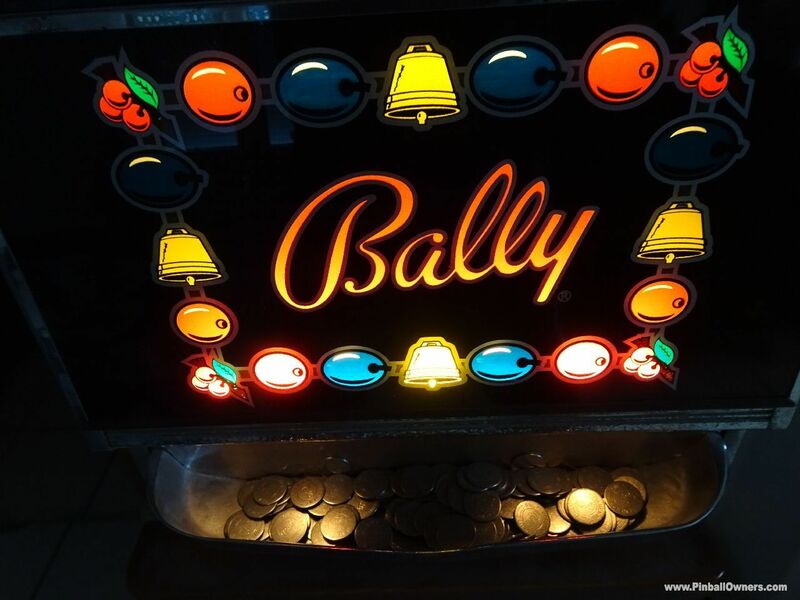 Sacr�e collection de Bally, �a fait envie, Bravo !